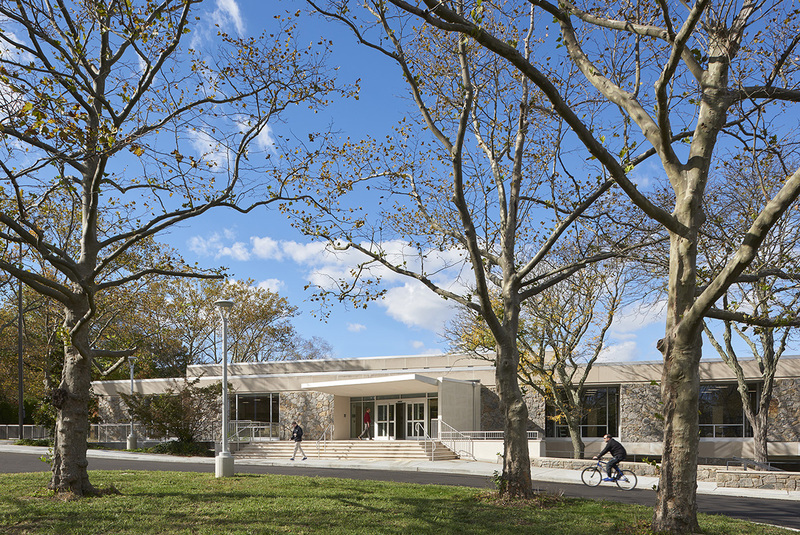 KG+D collaborated with Purchase College to complete a facade restoration and renovation project for their Physical Education building, which was designed by modernist architect Gwathmy Siegel and constructed in the early seventies. 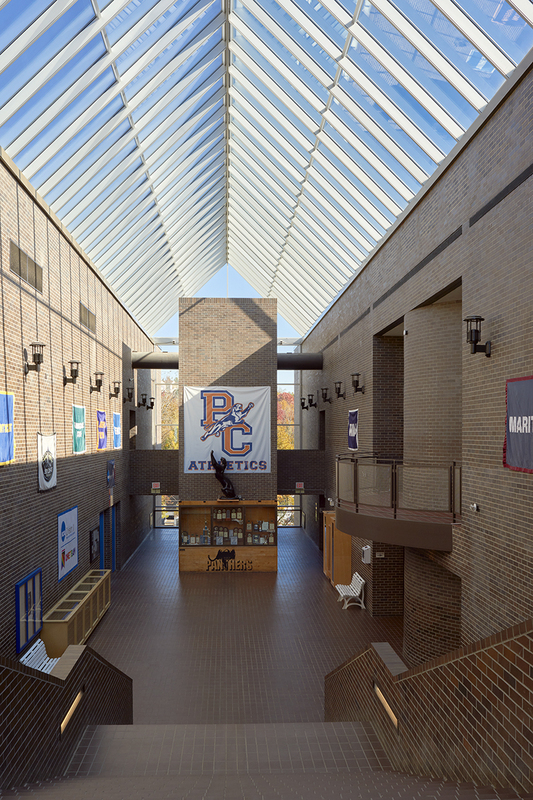 The pool in the gymnasium has been the primary cause for the facades’ deterioration; as part of the project the team redesigned the pool’s HVAC system to properly ventilate and remove moisture, strategically reconstructed or rebuilt portions of the exterior facade, replaced the atrium skylight and builiding windows, added skylights to the gymnasium to provide natural light and created ADA accessibility by adding a walkway as a balcony in the atrium. 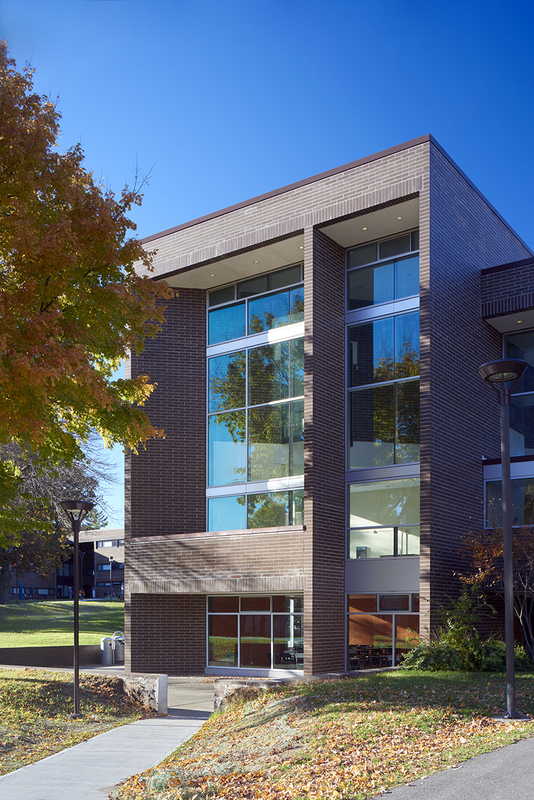 This entry was posted in Projects and tagged higher education on January 29, 2019 by Ashley Higgins. 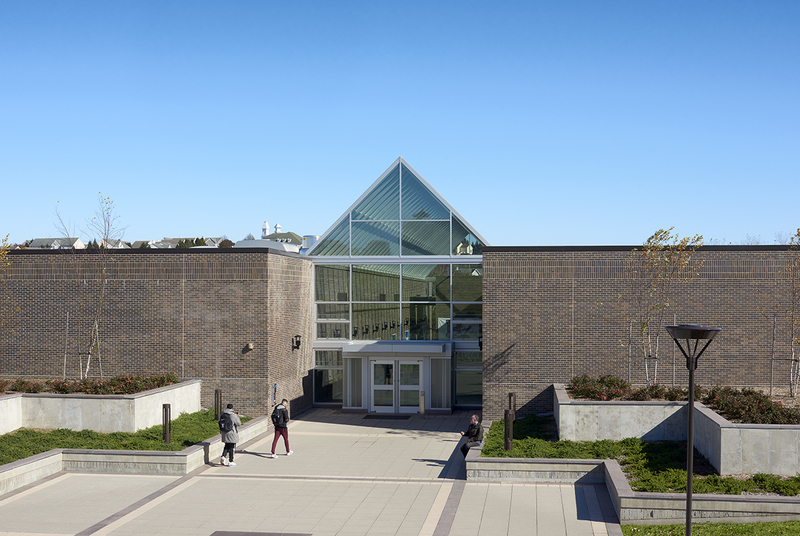 KG+D collaborated with Purchase College to restore the exterior facade of their Dining Hall, which was designed by well-known modernist architect Edward Larrabee Barnes and constructed in the early seventies. 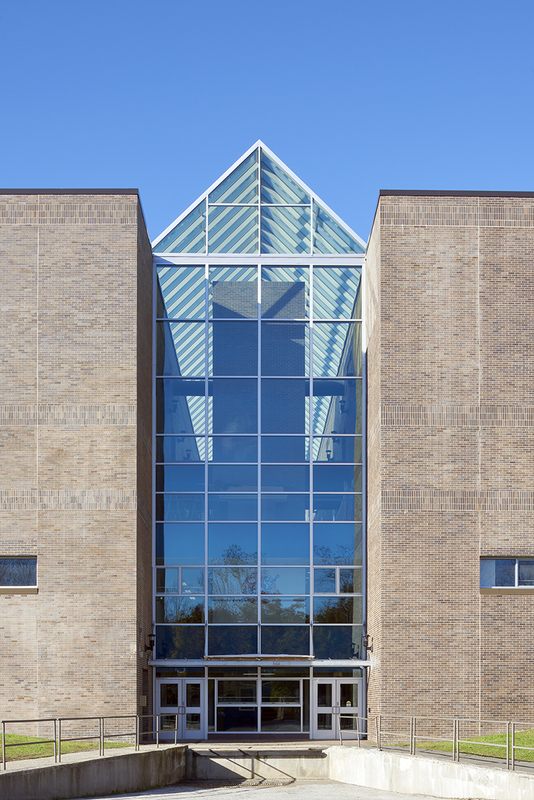 Related to seventies detailing, age and extreme use, the envelope was in need of significant restoration as evidenced by leaks, cracking and portions of facades that were leaning outward. 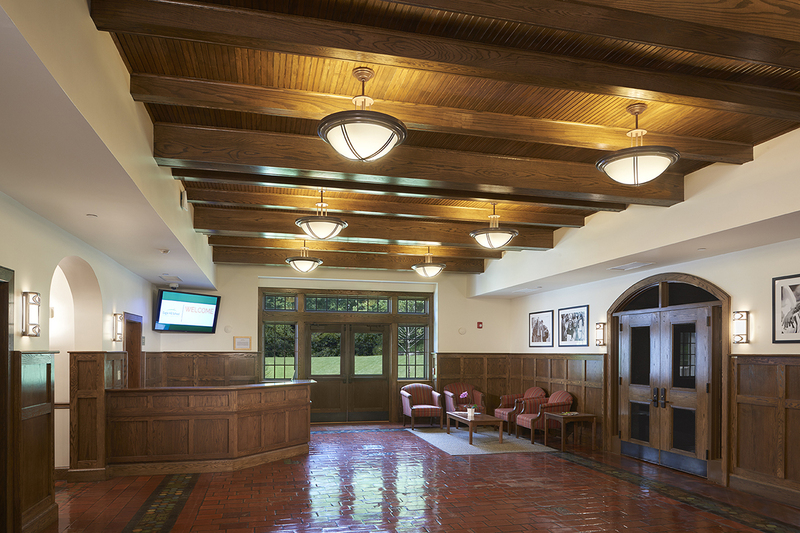 Our team worked to restore the condition of the building while preserving the original design intent. 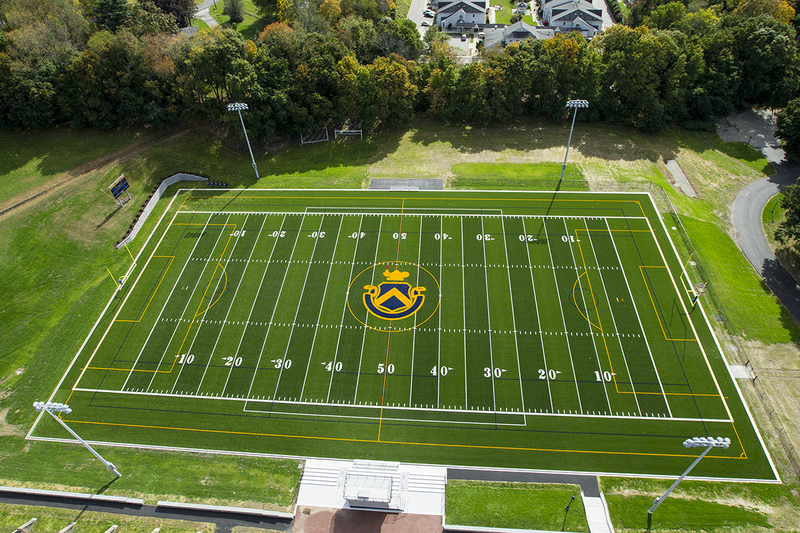 AIA WHV High Honor Award for their collaboration with the Trinity Pawling School on the new Smith Field House in Pawling, NY. 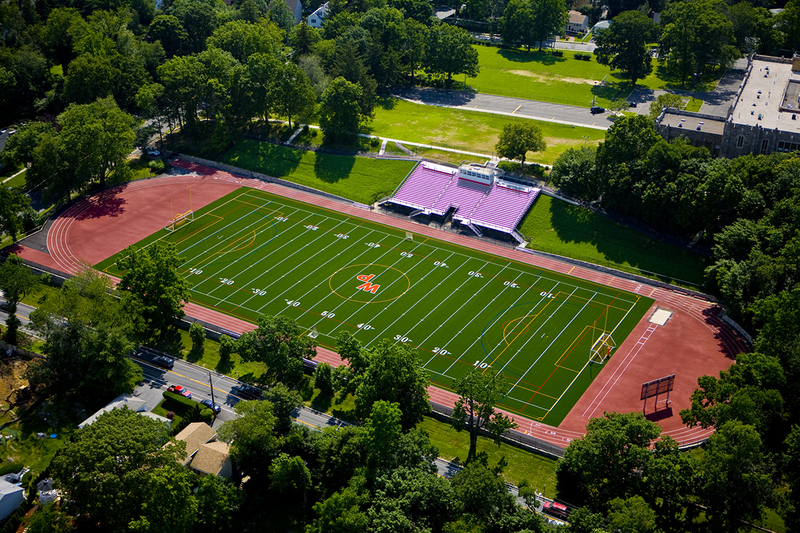 The Smith Field House project involved an addition that joined multiple disconnected athletic facilities that created a central athletic hub on campus. 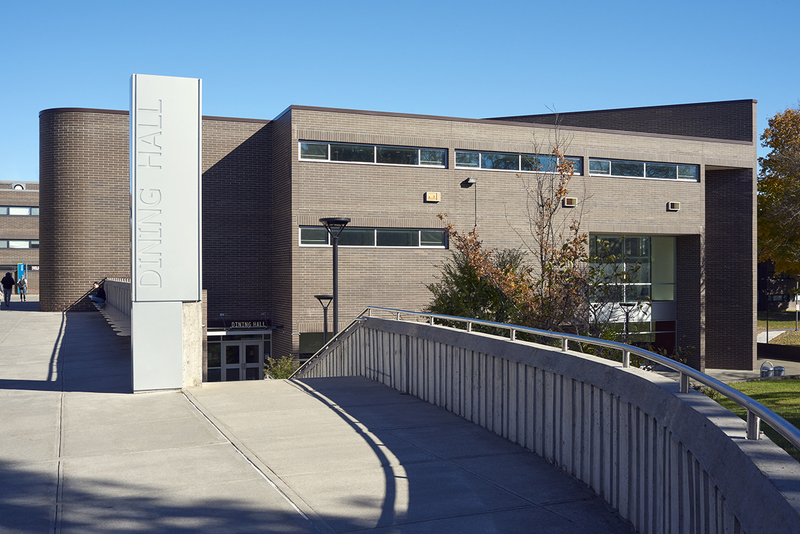 At approximately 30,000sf, the field house is now the largest building on campus and it houses a gymnasium with two full basketball courts with upper level spectator seating, a half court with workout space, a new main entry and lobby space, a terrace gathering spaces and an Alumni and Athletic Hall of Fame Room. 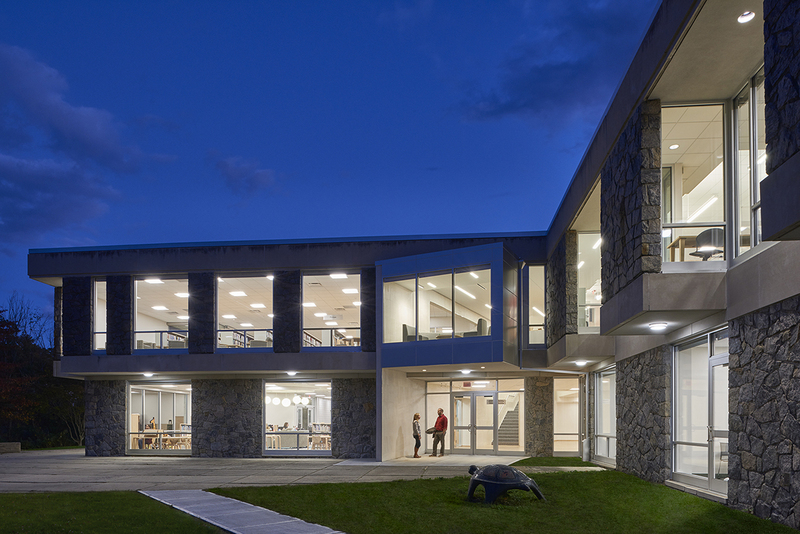 AIA WHV High Honor Award for their collaboration with Rippowam Cisqua School, Upper School Campus in Bedford, NY. 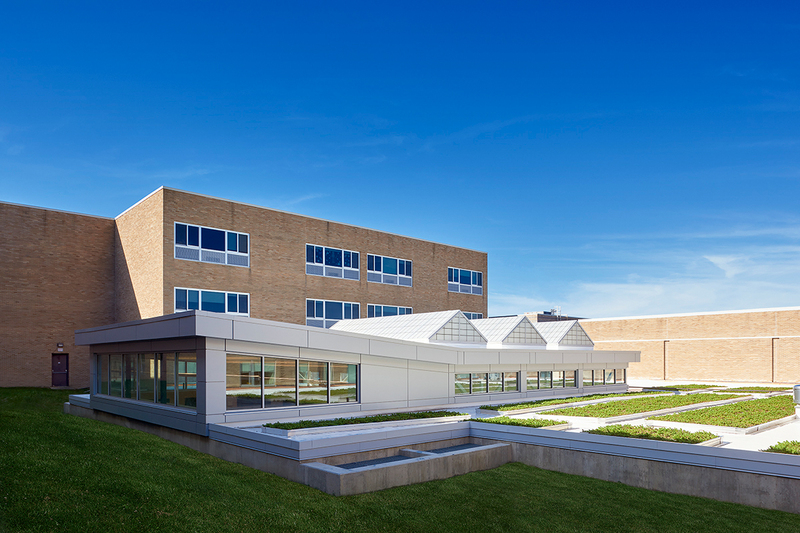 KG+D collaborated with The Rippowam Cisqua School to transform their Upper Campus into a next generation educational facility that respected the community’s architectural aesthetic. 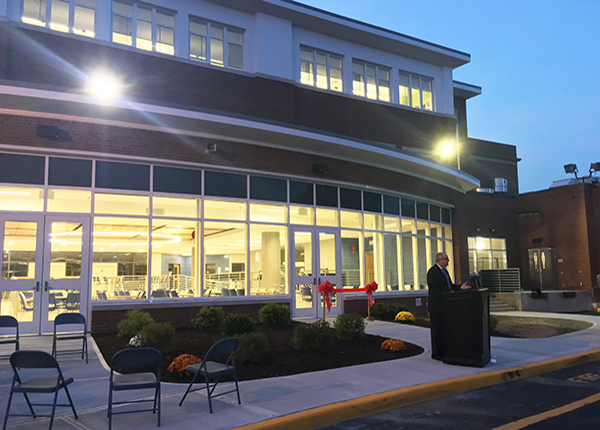 The project encompassed major additions including a new main entry, media center, dining hall, classroom addition, renovated science labs and art classrooms and an innovation lab that opens into a courtyard amphitheater. 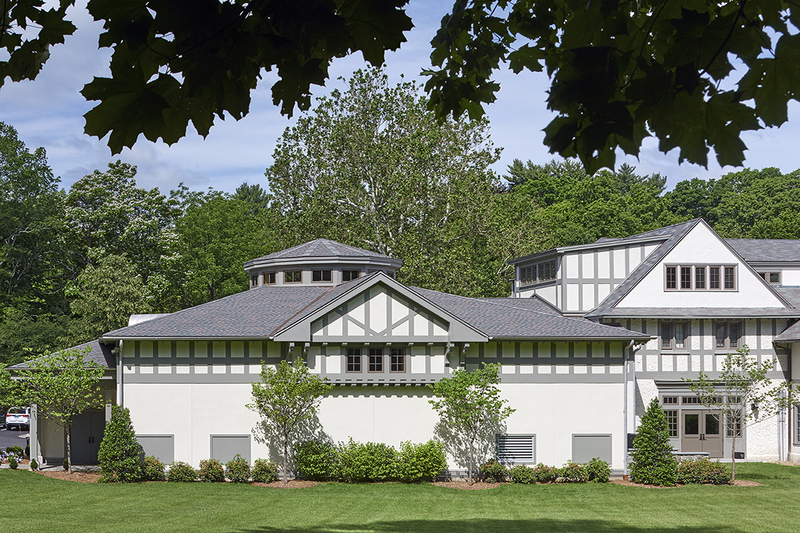 The additions mindfully married the past and future creating a “Bedford Barn” front elevation, while the interior expression is open, modern and forward-thinking. 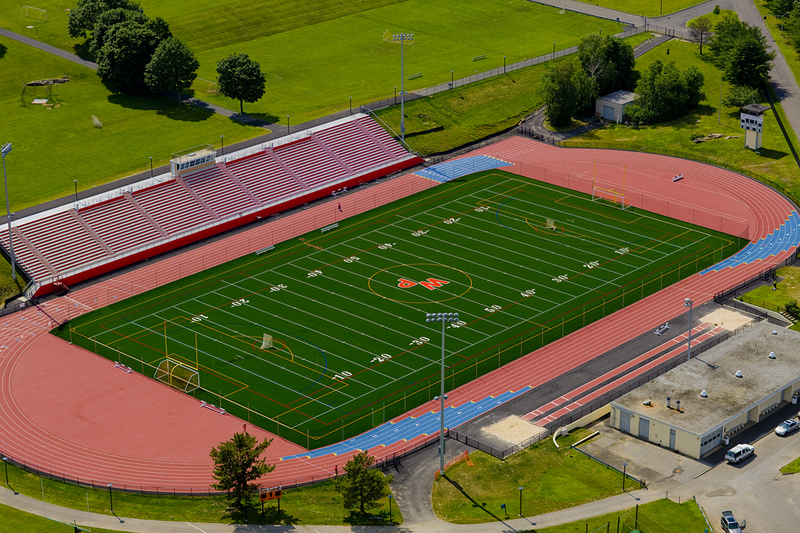 AIA WHV Citation Award for their collaboration with Middletown Enlarged City School District on Middletown High School in Middletown, NY. 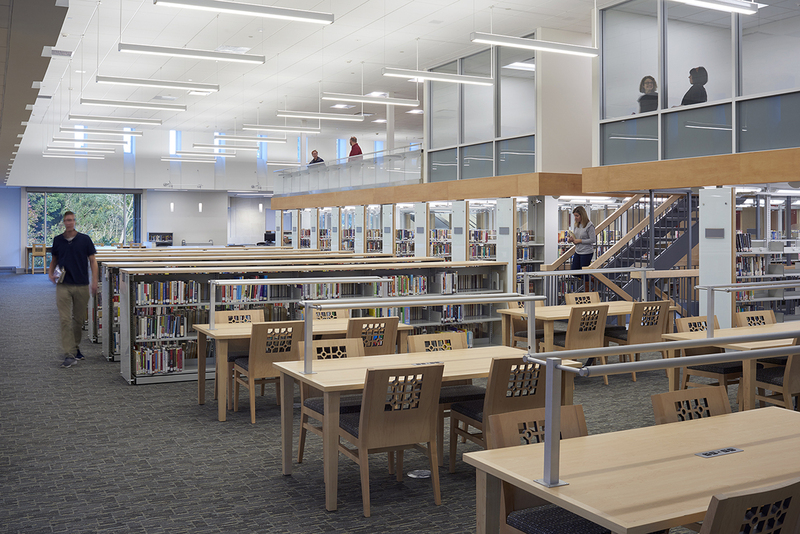 The Middletown High School project developed a 10,000sf, technology infused, learning commons at the high school’s center in an underutilized interior courtyard. 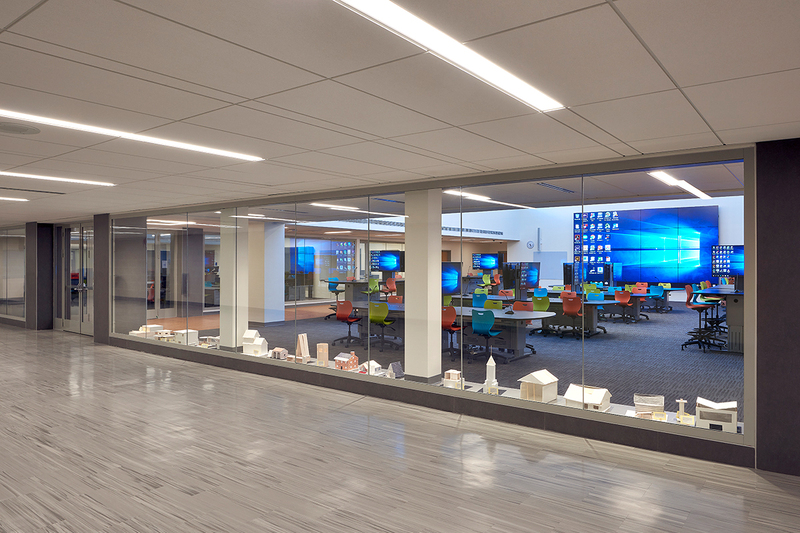 The “Next-Gen” learning space features a large, open innovation lab with a 16-panel viewing screen, digital labs, graphic arts classrooms, a fabrication lab and a lecture/presentation space. 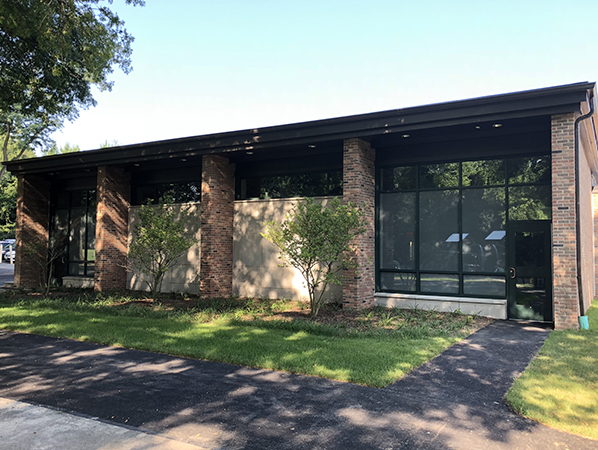 A second, 28,000sf addition, created a third-floor innovation lab with break out meeting and small group spaces, a new main entry sequence and connection to a new classroom wing. AIA WHV Citation Award for their collaboration with the Brewster Central School District on JFK Elementary School in Brewster, NY. 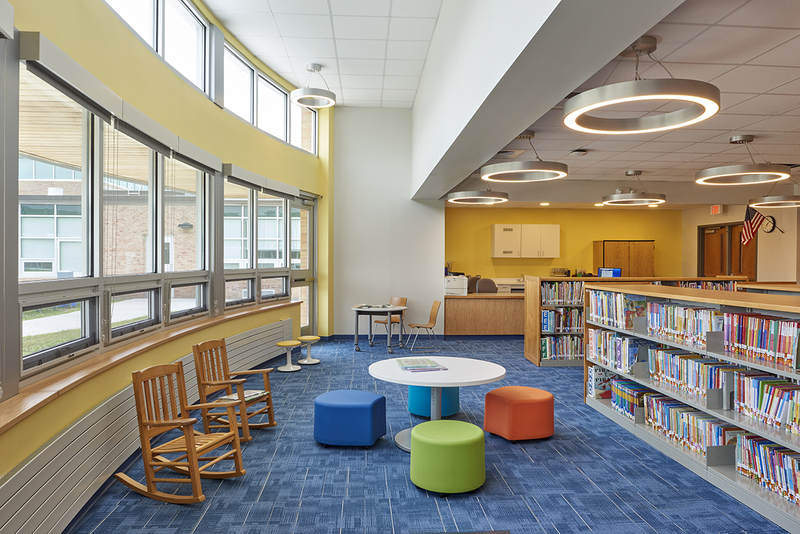 KG+D collaborated with the Brewster CSD to complete key projects that transformed the JFK Elementary School into a Next Generation learning environment. The project included a six-classroom addition that created flexible classrooms, a library addition featuring a stepped reading area, an auditorium renovation that incorporated a moveable wall dividing classroom and theater space and the development of the IDEA Center, which features moveable furniture and bi-fold doors that open to an interior courtyard. 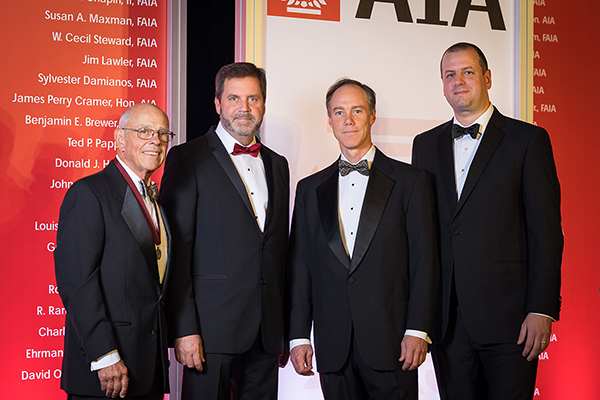 AIA WHV Citation Award for their collaboration with Elegant Banquets on the renovation of Le Chateau in North Salem, NY. 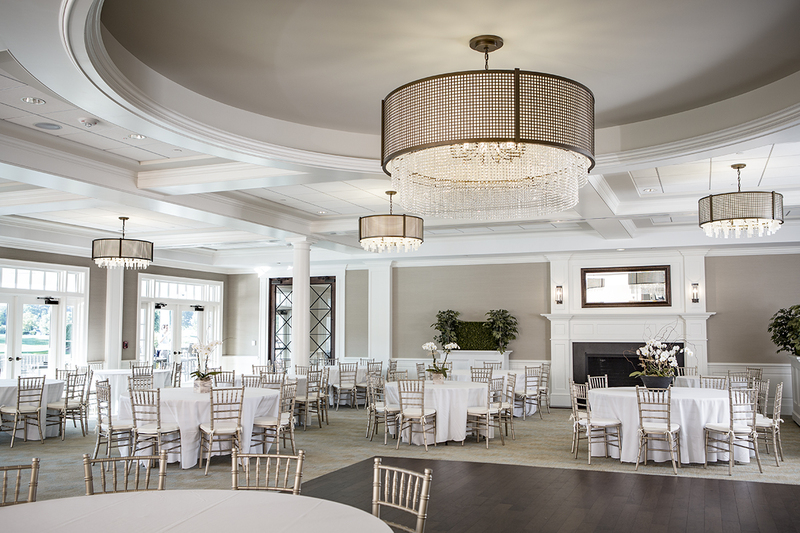 The Elegant Banquets project encompassed the renovation of the former Le Chateau restaurant into a banquet and catering hall for weddings and events. 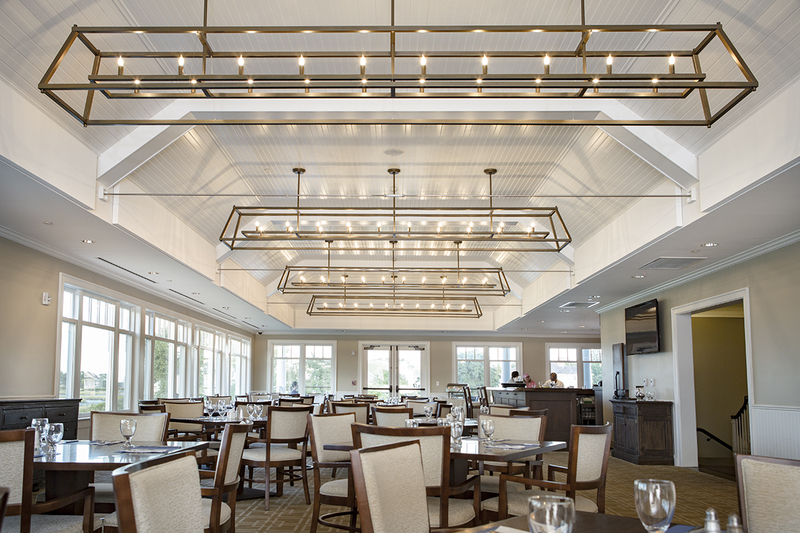 The project included an addition of a dining room and bar as well as renovations to pre-function spaces in the original building. 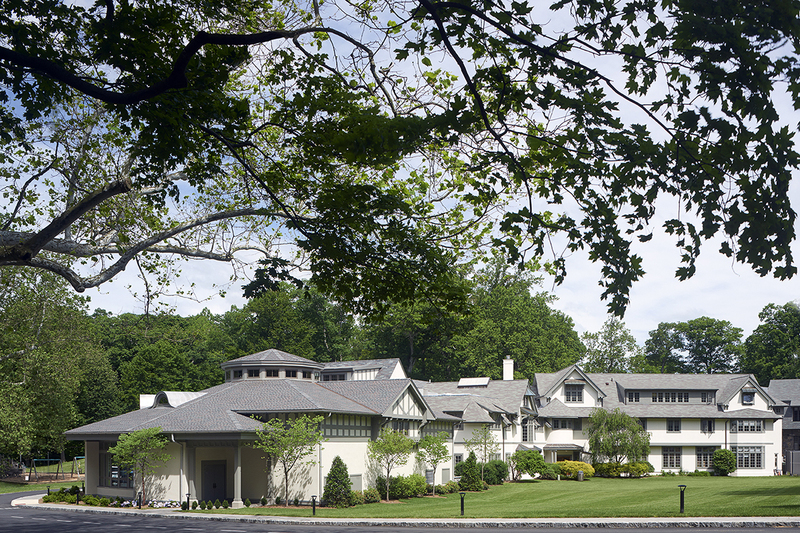 The Tudor-style mansion was commissioned in 1907 by J.P. Morgan as a gift for Reverend William S. Rainsford. 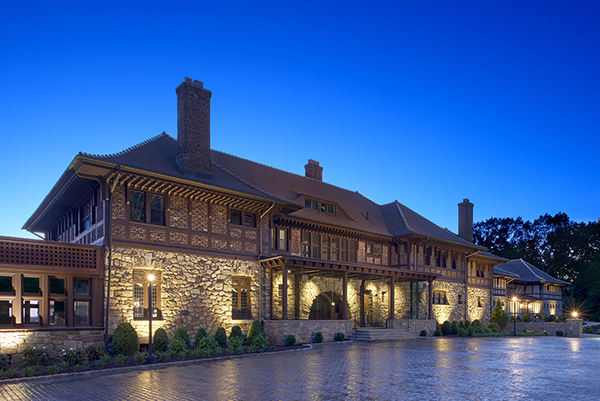 The project sought to preserve the history of the mansion while injecting a modern New York sensibility. 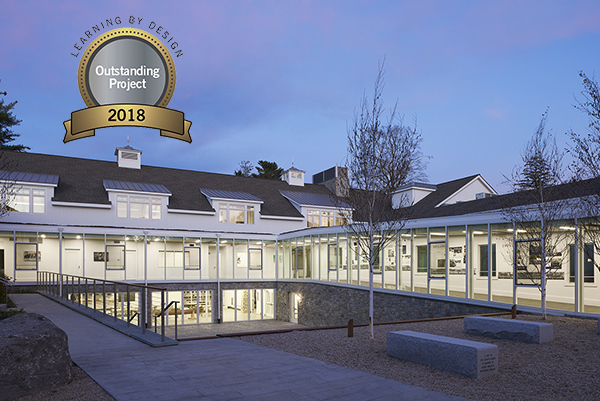 KG+D’s projects were recognized at the AIA WHV Design Awards on Thursday, October 25th, 2018 at the Eagle Hill School in Greenwich, CT. 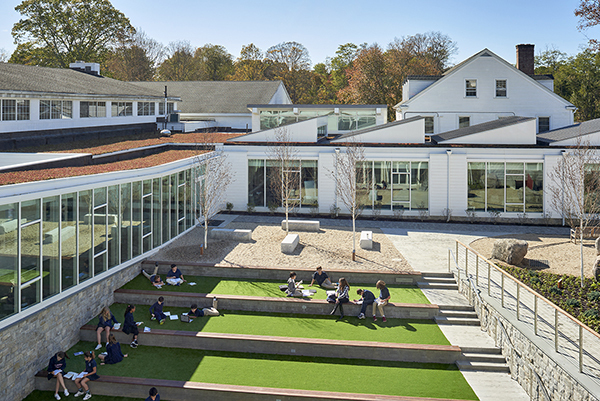 The event included a guided tour of the Eagle Hill School Community Room, which was designed by KG+D Vice President, Erik A. Kaeyer, and received a AIA WHV Honor Award in 2017. This entry was posted in homeslider, News, sidebar on October 30, 2018 by Ashley Higgins. 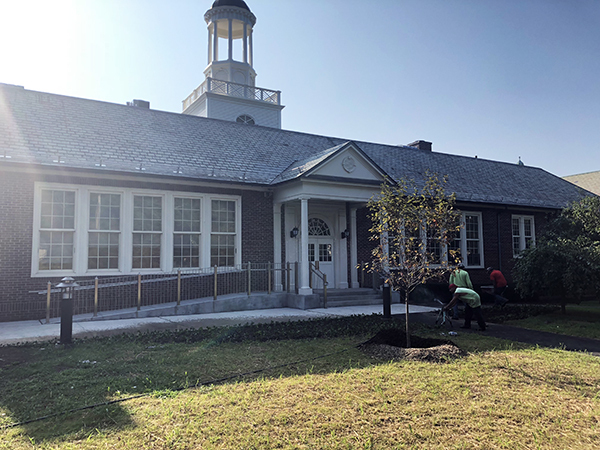 Scarsdale Union Free School District held ribbon cutting ceremonies on Wednesday, October 23rd, marking the opening of the Edgewood and Heathcote Elementary School projects. 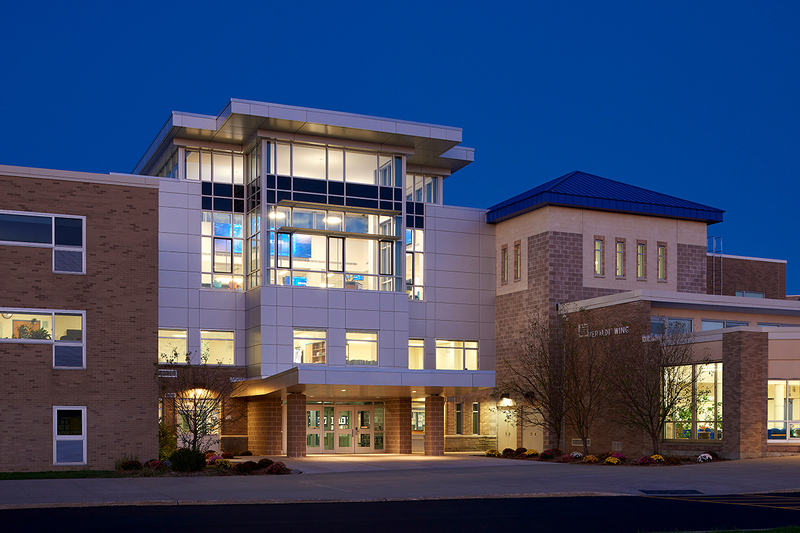 The Edgewood Elementary School project included a new library and security conscious office and main entry. 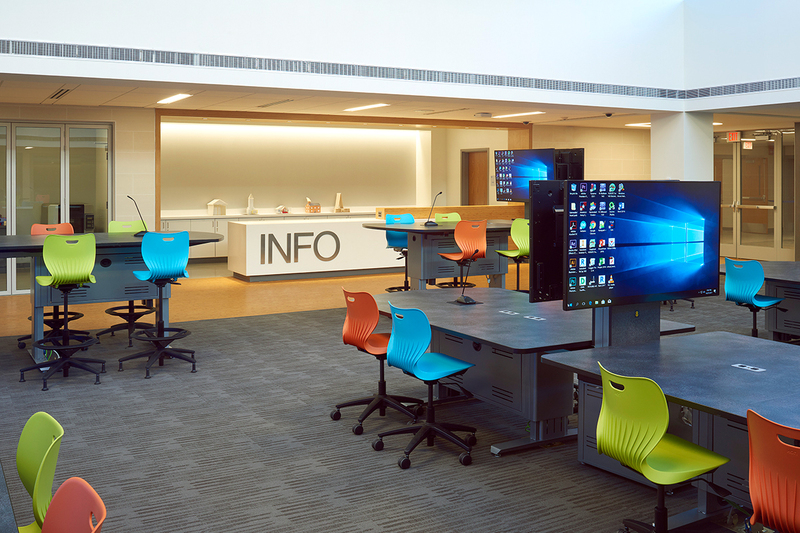 The new library features a cove stepped reading nook, pod seating, nesting tables, mobile bookcases and counter height workstations. 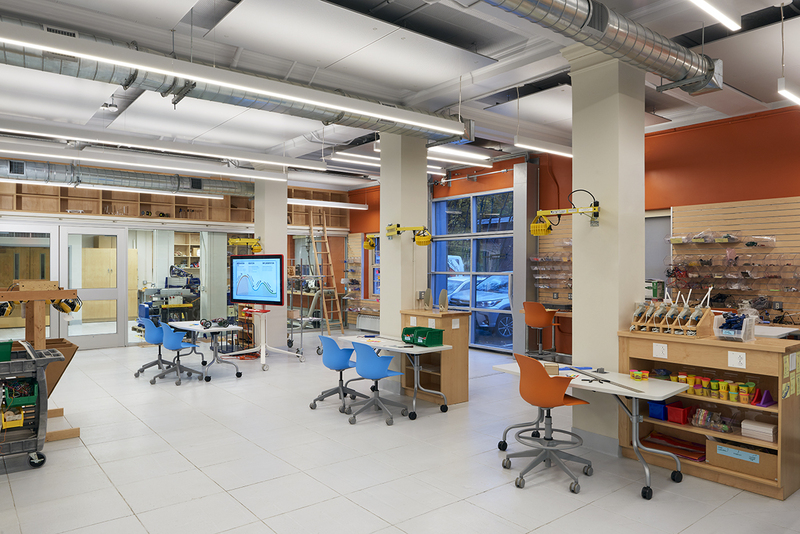 Adjacent to the library are a workroom and technology room. 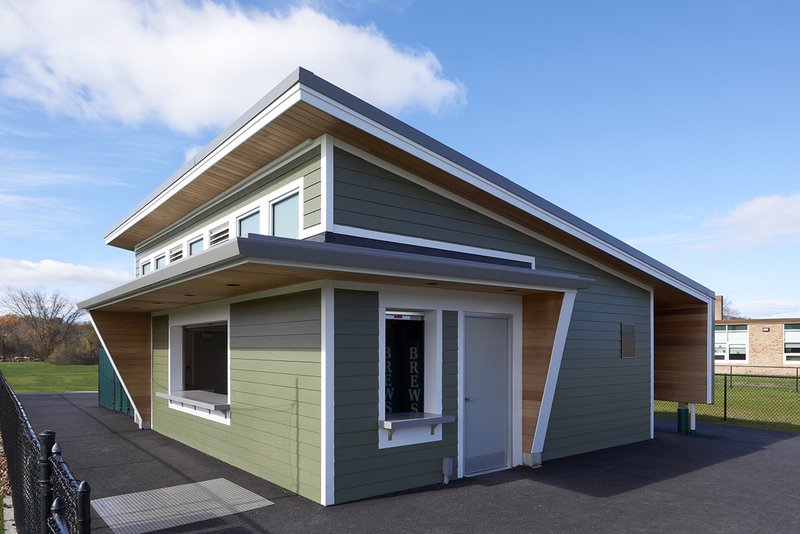 The Heathcote Elementary School project included the addition of a new multi-purpose room with adjacent small group instruction rooms and a new entry space. 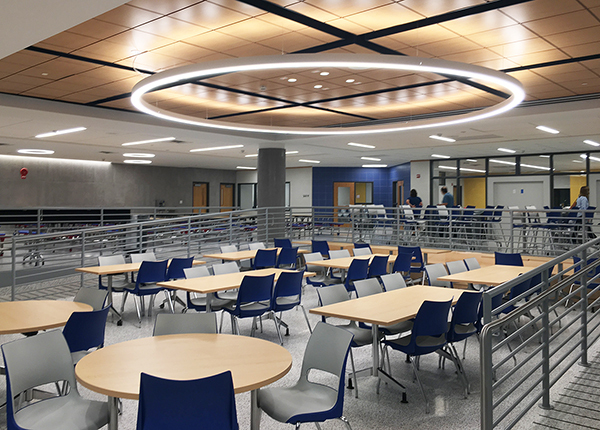 The new multi-purpose room accommodates a larger number of students for lunchtime and the new entryway provides a shielded space for student pick up/drop off as well as a separate and secure community point of entry. 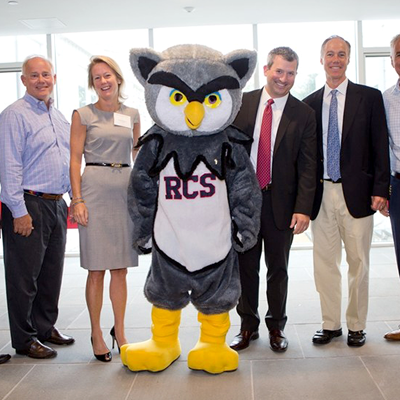 KG+D is proud to have collaborated with the Scarsdale Union Free School District on these important projects for the elementary school community! 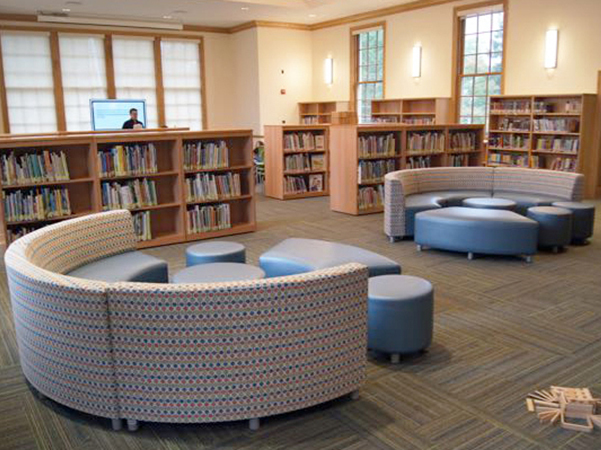 Edgewood Elementary School library addition time-lapse video. 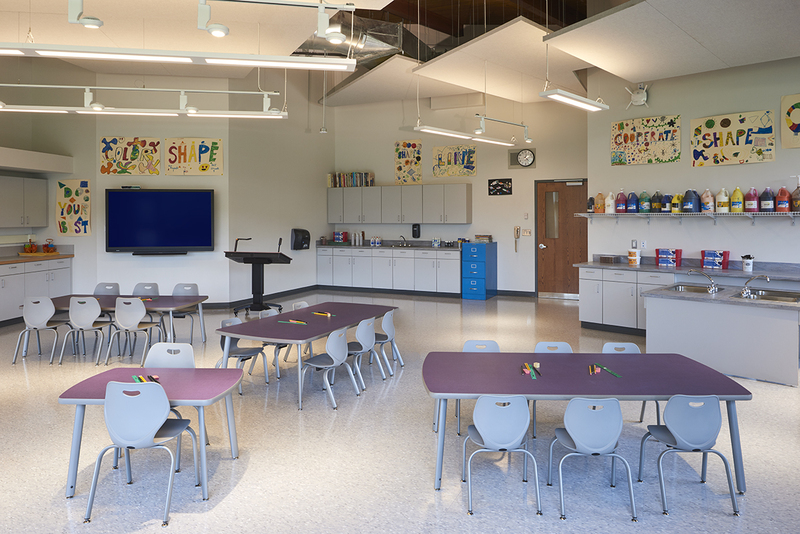 Heathcote Elementary School multi-purpose room time-lapse video. This entry was posted in homeslider, News, sidebar on October 29, 2018 by Ashley Higgins. 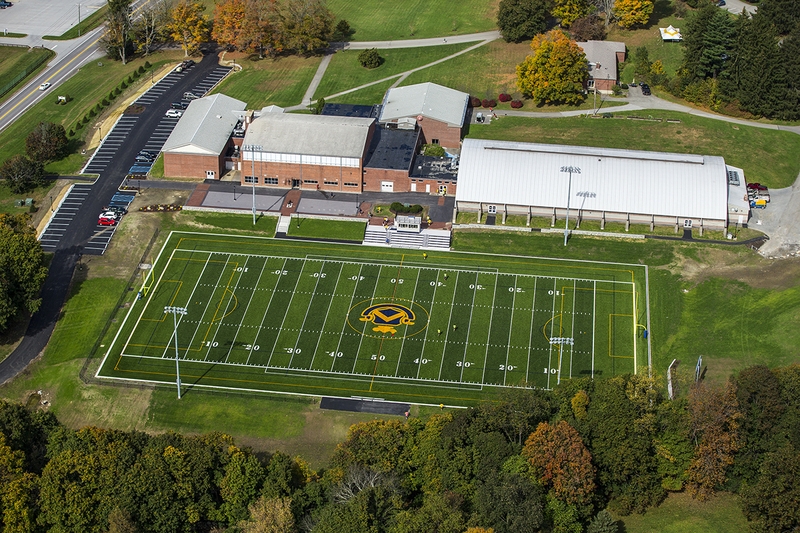 Trinity Pawling School’s Smith Field House was selected for publication by American School & University in its 2018 Educational Interior Showcase which honors the Nation’s most outstanding learning environments. 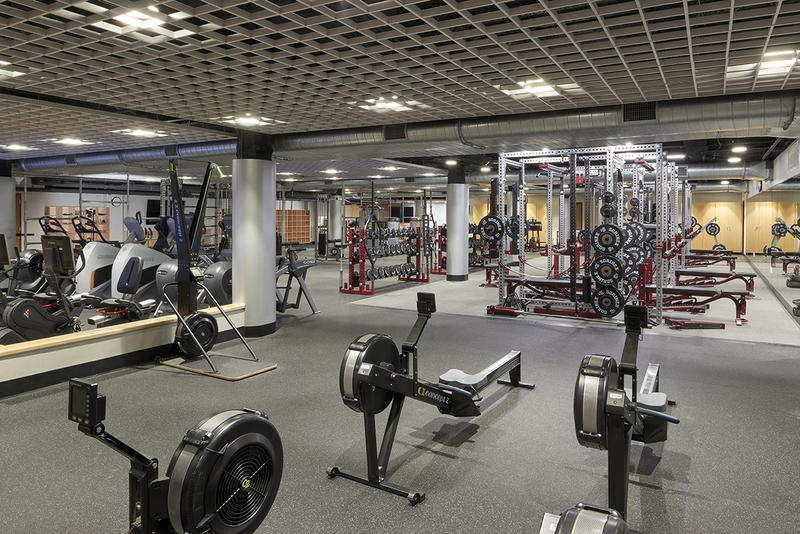 The Smith Field House project, which was recognized as an Outstanding Design, developed an addition that joined multiple disconnected athletic facilities-including a gymnasium, wrestling pavilion, squash courts and ice rink-to create an essential athletic hub on campus. 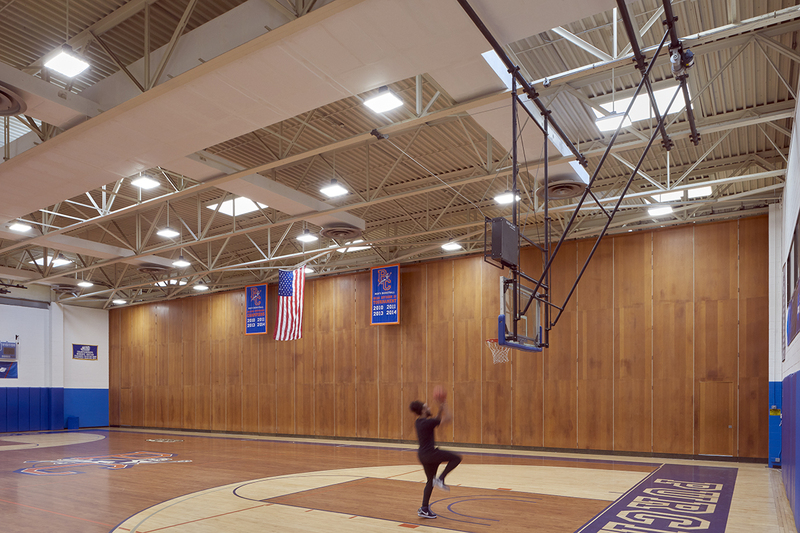 At approximately 30,000sf, the Smith Field House is now the largest building on campus and it houses a gymnasium with two full basketball courts with upper level spectator seating, a half court with workout space, a distinctive main entry and lobby space and an Alumni and Athletic Hall of Fame Room with adjacent terrace space that will spotlight awards and school athletic memorabilia. 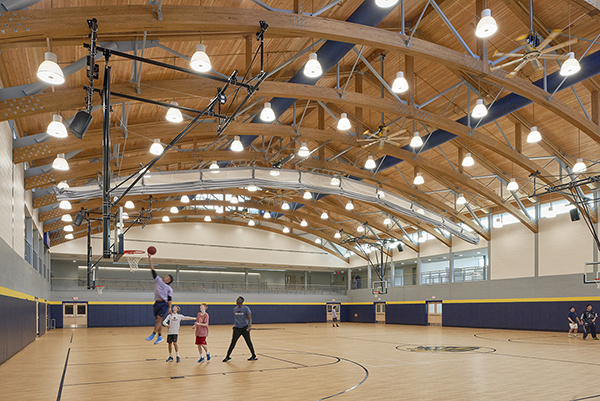 The new field house features curved timber trusses and utilizes large clerestory windows that create a dramatic and light-filled space. 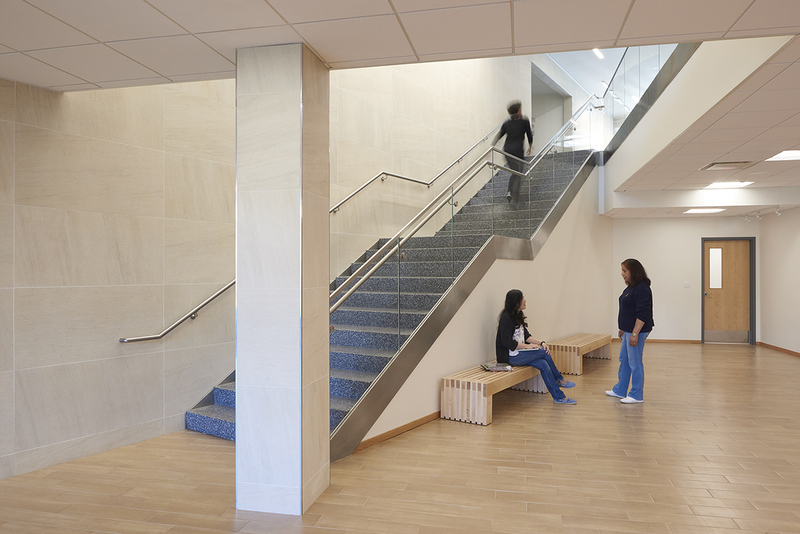 The building not only serves as a state-of-the-art athletic facility but is also enjoyed daily as a student social center and gathering space. This entry was posted in homeslider, News, sidebar on October 22, 2018 by Ashley Higgins. 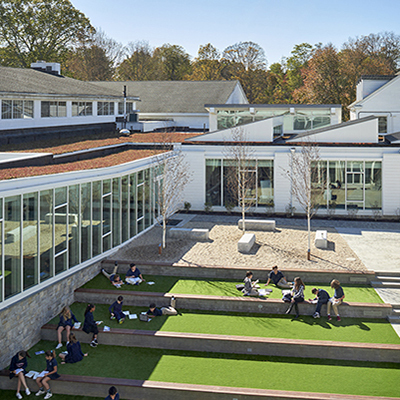 The Rippowam Cisqua School Upper Campus renovation and addition project was cited as an Outstanding Project by Learning by Design magazine. 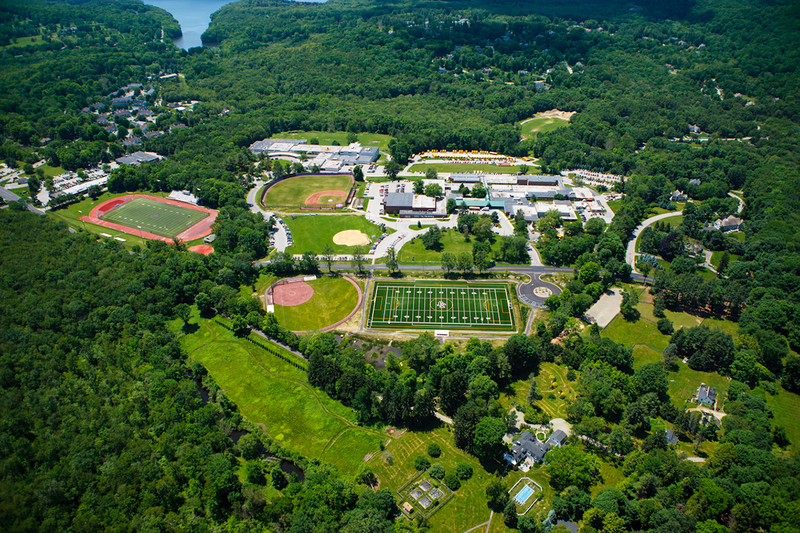 KG+D Architects partnered with the Rippowam Cisqua School to transform their Upper Campus into a next generation educational facility that effectively supports the independent middle school’s immersive educational programming while remaining in keeping with the community’s “Bedford Barn” architectural tradition. 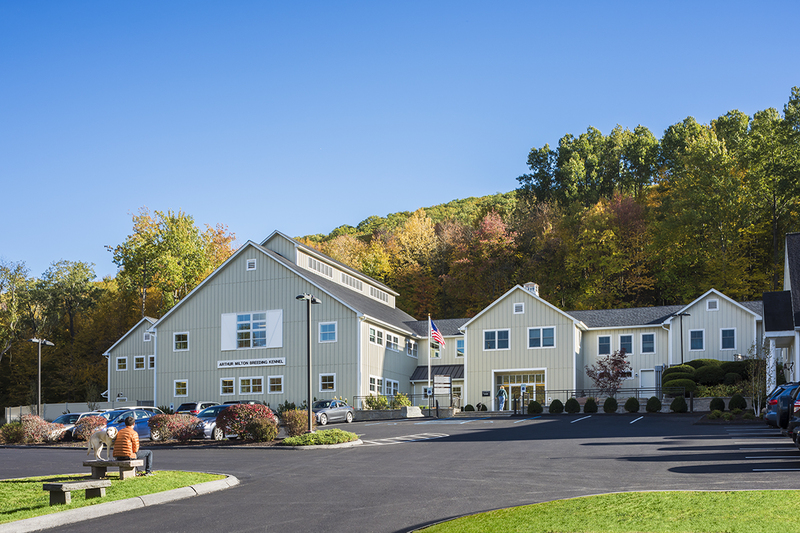 The project addressed this challenge by creating a front elevation that is reflective of the community’s 350-year barn aesthetic, while the interior expression is open, modern and forward-thinking. 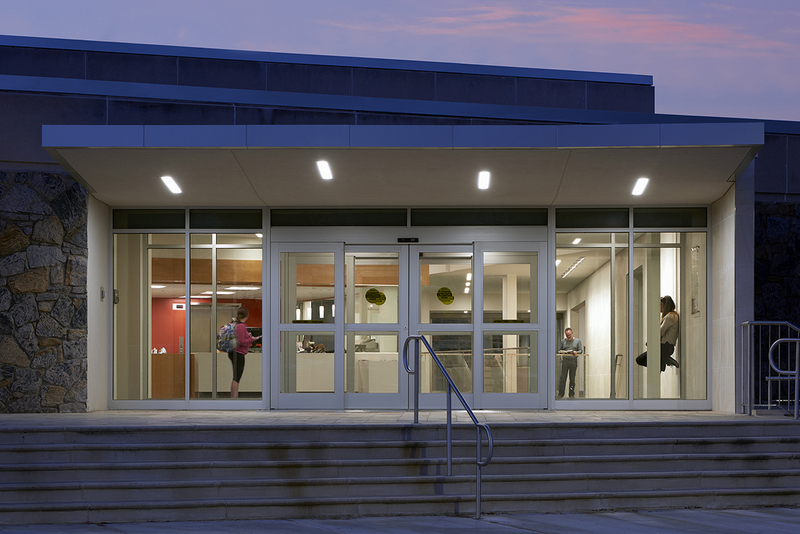 The project includes a new main entry, media center, dining hall, classroom wing and an innovation lab that opens to a courtyard amphitheater. 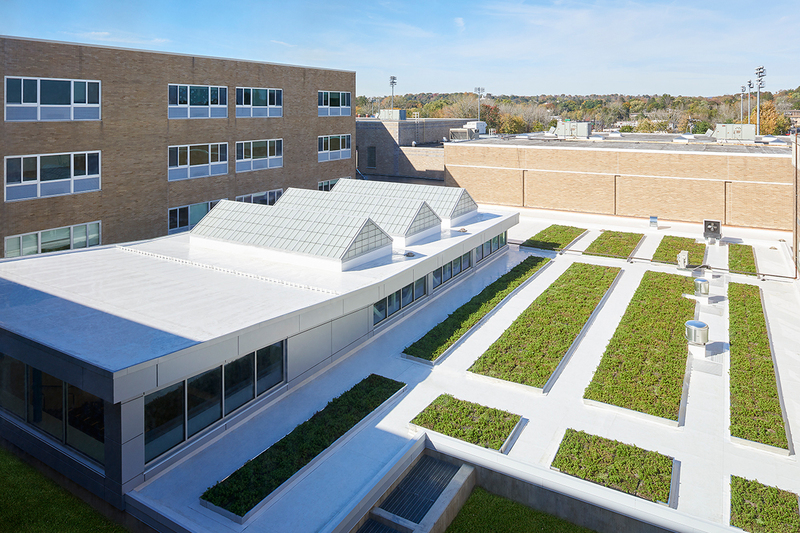 The project was recognized for its architectural and interior design and for having next generation benchmark type design and planning features. This entry was posted in homeslider, News, sidebar on October 18, 2018 by Ashley Higgins. 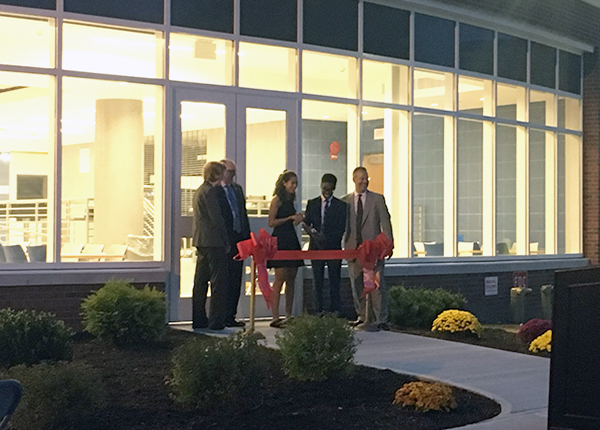 The Eastchester Union Free School District held a ribbon cutting ceremony on Tuesday, October 9th to mark the grand opening of their recently completed High School renovation and expansion project. 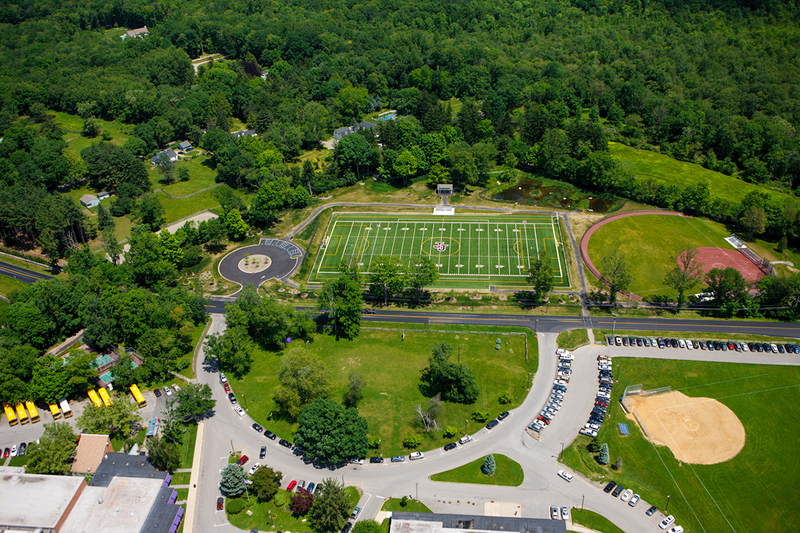 Voters approved an almost $27 million-dollar bond to expand the high school building in October of 2015 and construction began in June of 2017. 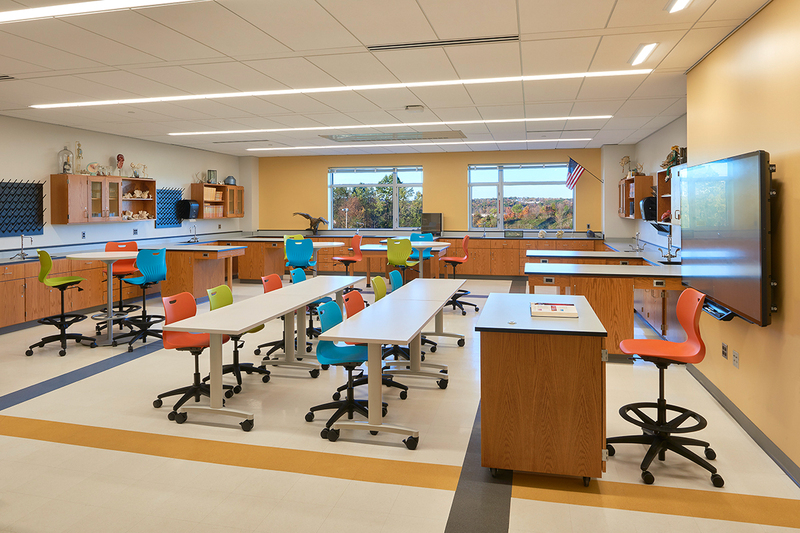 KG+D collaborated with the District on the high school project which upgraded and expanded key instructional spaces to meet the academic demands of a 21st Century Education and accommodate a significant increase in enrollment. 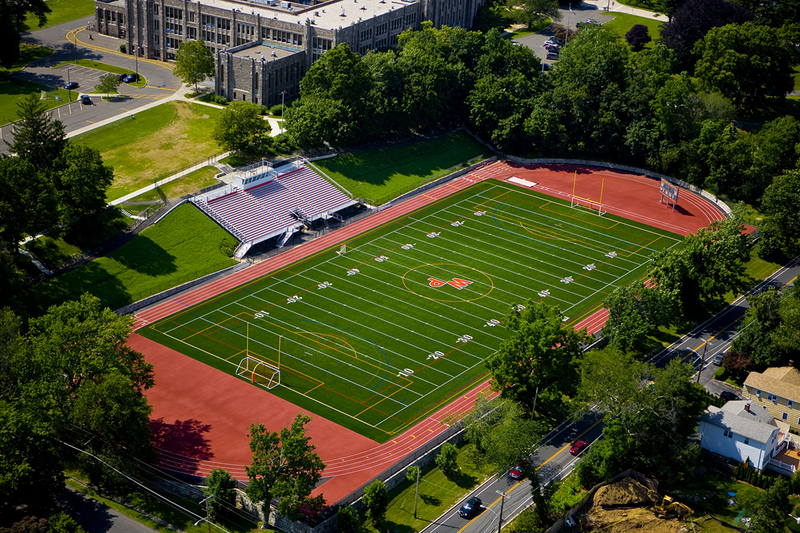 A major challenge for the 1927 High School was an increase in student enrollment. 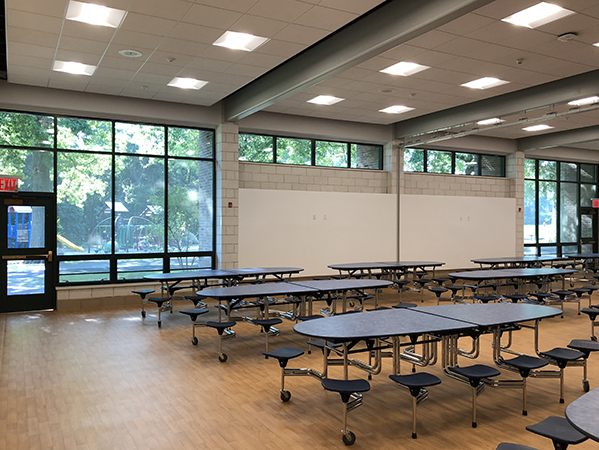 As a result, the District created temporary classrooms in an old gymnasium and had to implement four lunch periods in order to serve lunch to the entire student body. 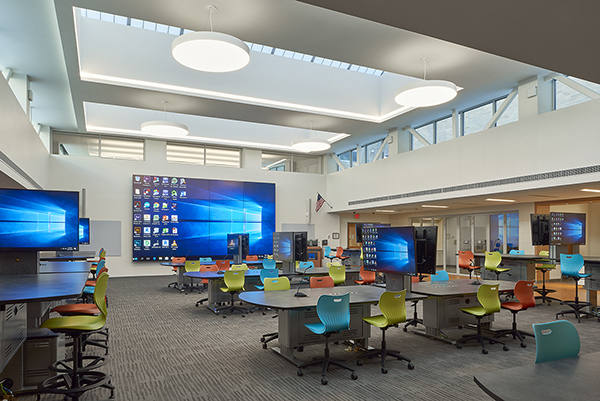 To address this challenge, the design solution sought to create additional instructional space, while also creating collaborative, forward-thinking Next Generation learning environments. 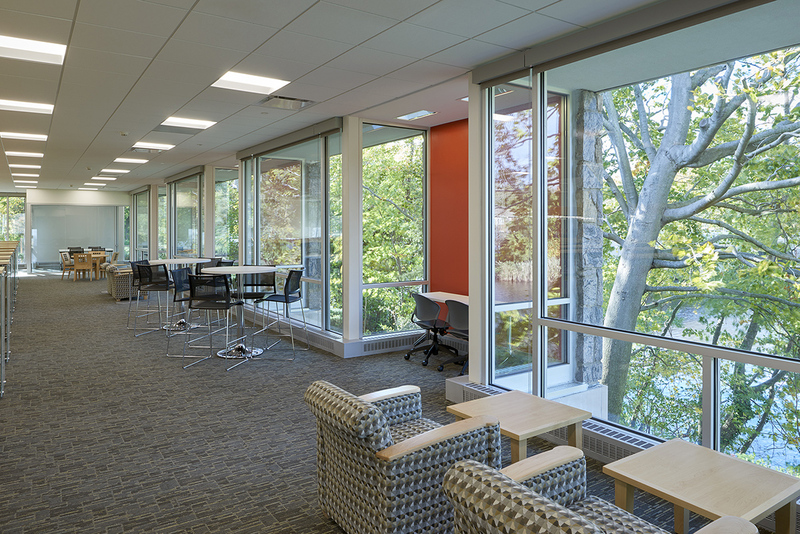 State-of-the-art STEM labs created designated space for progressive program courses and the cafeteria expansion maximized the opportunity to create a student lounge and learning commons. 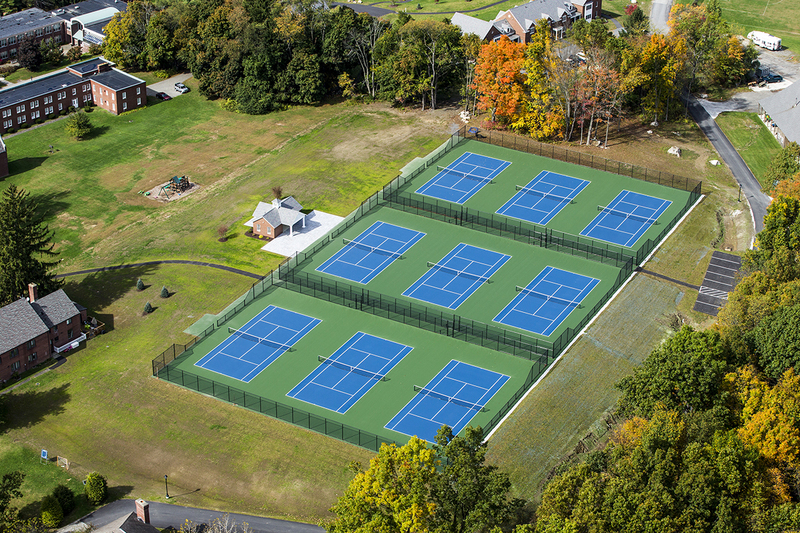 The final phase of the project will revert temporary classrooms that were created in the gymnasium space over 15 years ago, back into gym space which will increase practice and game space for the District’s 25 athletic teams. 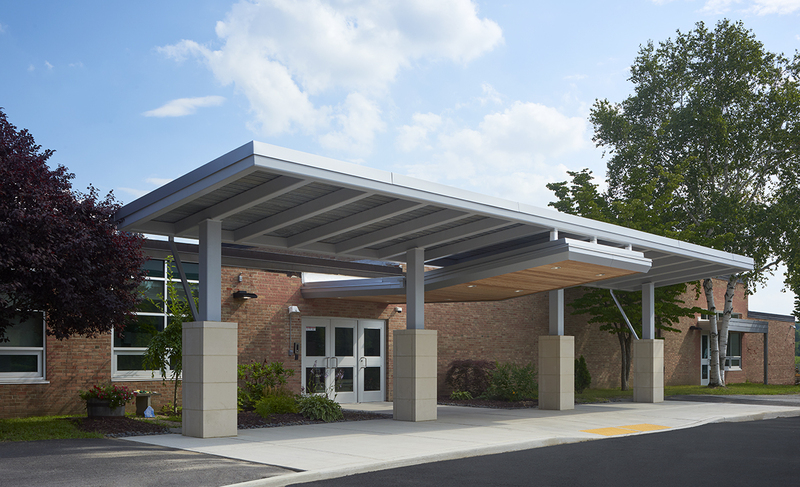 The managing principal and president of KG+D Architects, Russell A. Davidson, FAIA, testified before the Federal Commission on School Safety to advocate for school design strategies and legislation that will support safer schools. 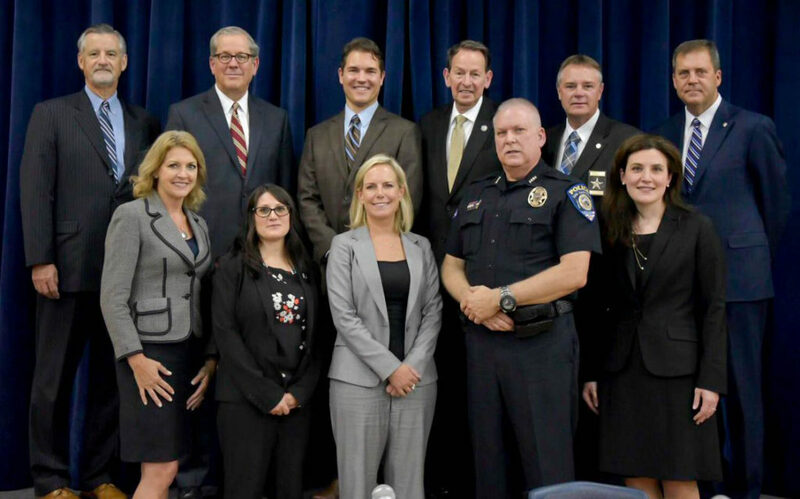 The federal commission roundtable was led by Homeland Security Secretary Kristjen M. Nielsen in Las Vegas, NV at the Miley Achievement Center, a secondary school recognized for providing specialized behavioral, social and emotional support for students. Along with a security consultant and members of law enforcement, Davidson was one of four individuals invited to testify and the only architect on the panel. 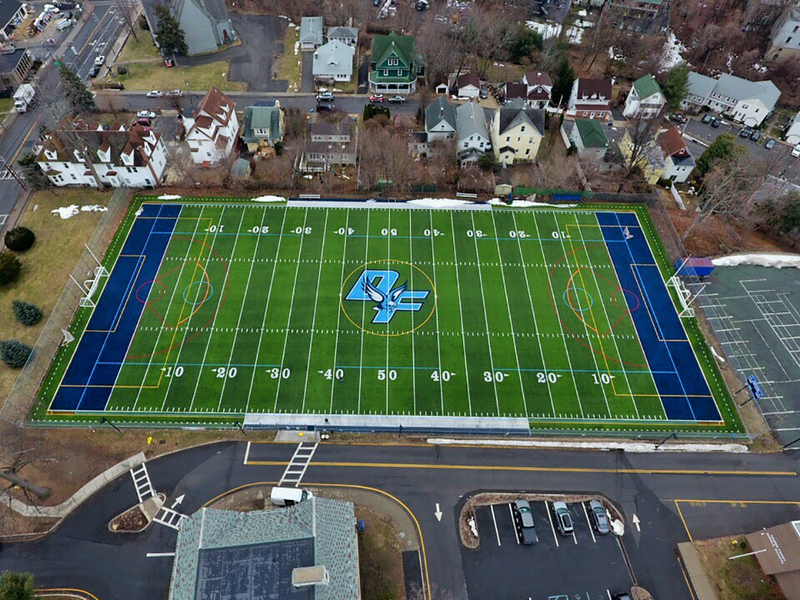 KG+D has worked with public and private schools throughout the region on projects ranging in size and scope including planning and implementing school security projects for many local districts including Yonkers, Greenwich, Katonah Lewisboro, Somers, Chappaqua, Tuckahoe and Pelham. 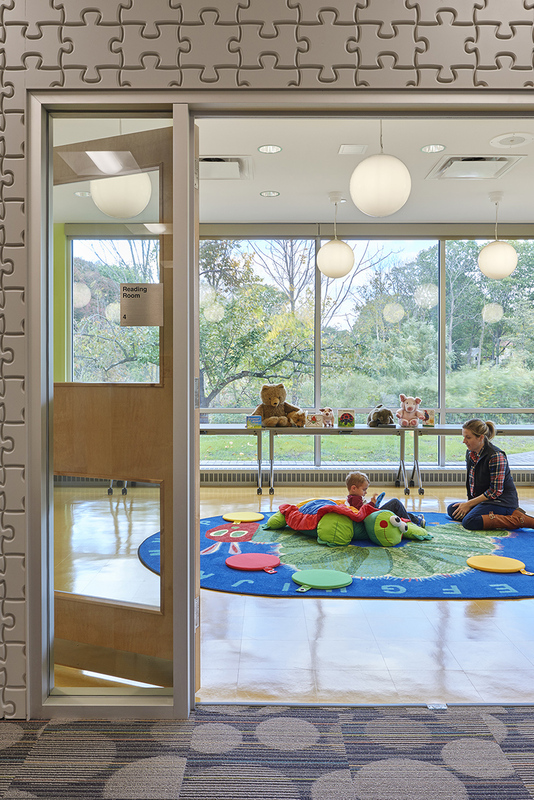 KG+D’s design approach seeks to balance vigilance and protection with the openness and inclusiveness that defines productive learning environments. 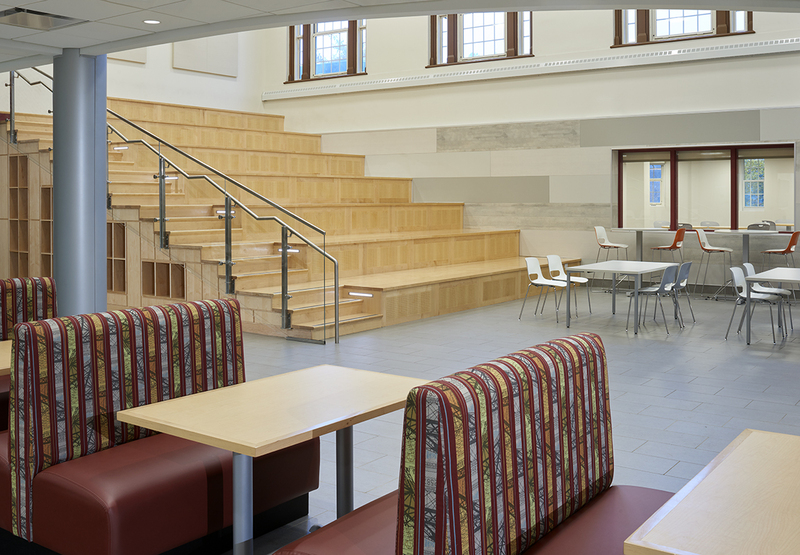 A layered approach, that is customized to each situation and population, helps to detect, deter, delay and defend and make the sanctuary that education should represent harder to breach. 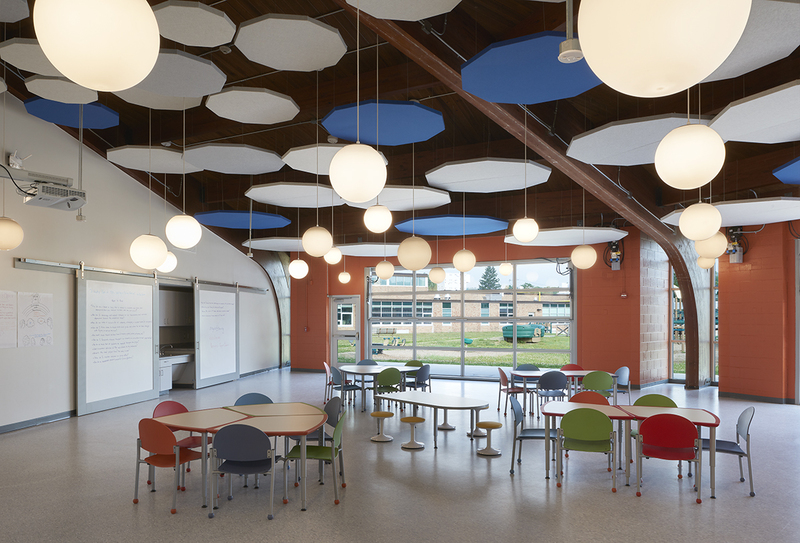 Davidson notes that architects are part of the solution as are the design responses to creating school environments where students are connected and known to each other and have access to responsible adults and support staff. 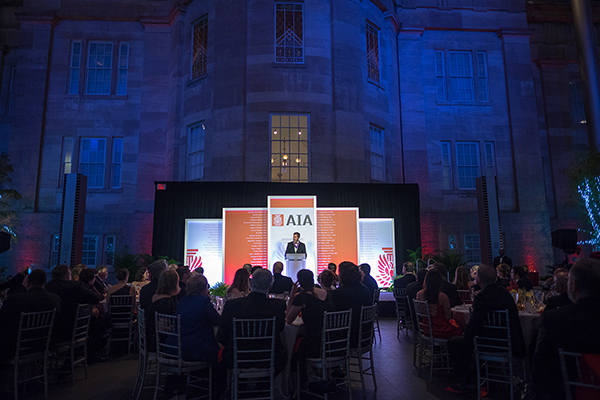 The American Institute of Architects, of which Davidson was the 2016 President, launched legislative initiatives last week that outline the Institute’s commitment for improving school design policies, which includes a bipartisan effort on Capitol Hill focusing on two main goals. 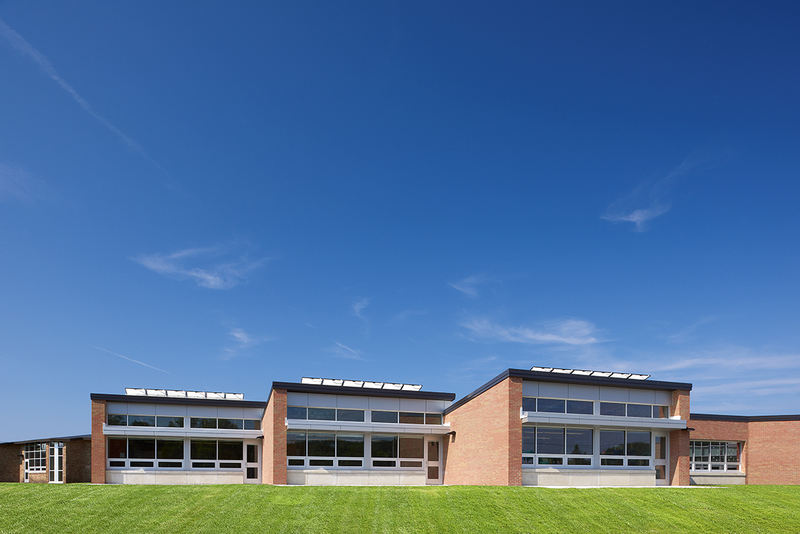 The first is to make architectural and design services for schools an allowable use of funds within existing federal grants. 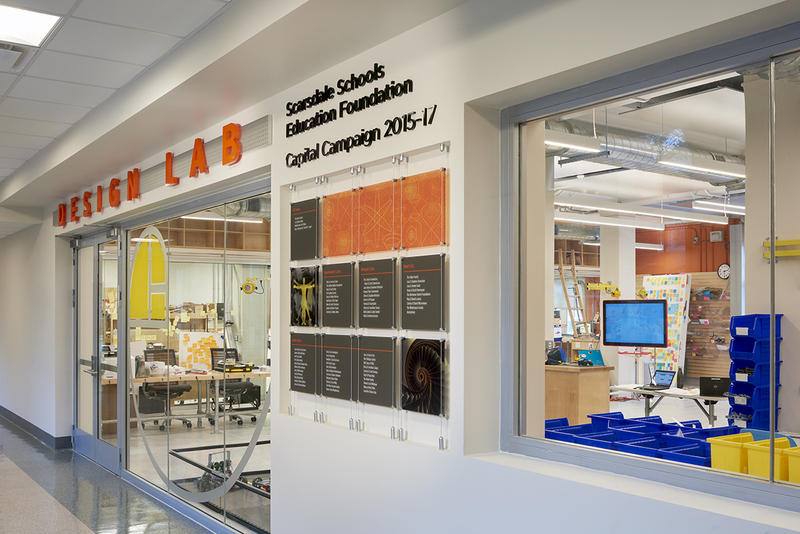 The second would establish a federal clearinghouse of resources on school design best practices for school officials, architects and other design professionals to keep them informed. This entry was posted in homeslider, News, sidebar on September 4, 2018 by Ashley Higgins. We are pleased to announce that team members Matthew Gallerani and Teresa S. May have been named Associates of the firm. 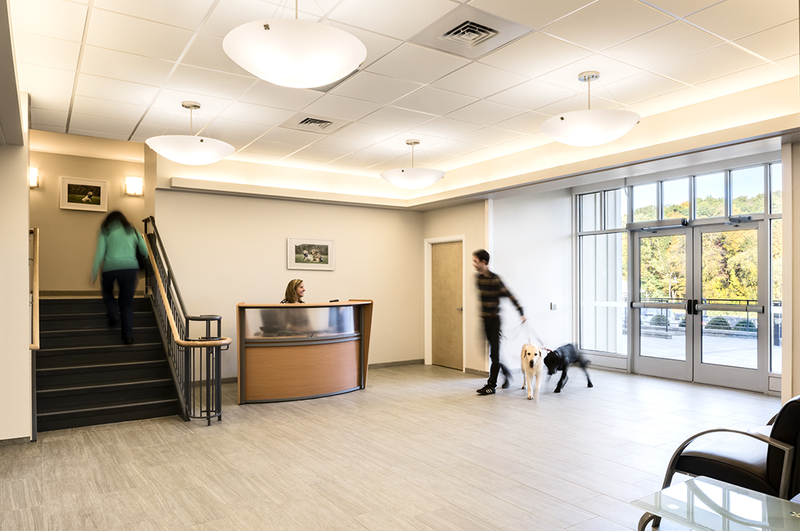 Matt and Teresa have continually demonstrated their ability to successfully manage complex projects and have provided outstanding service to KG+D’s clients. 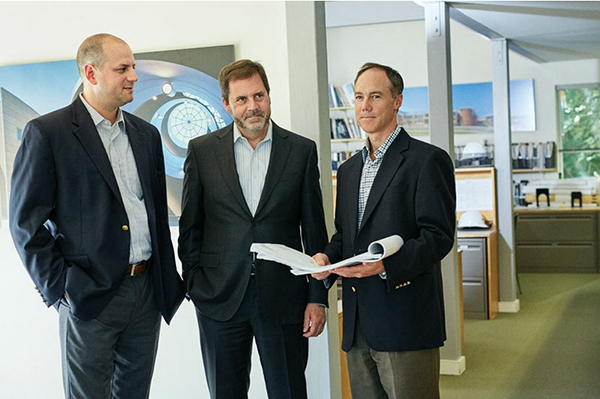 Russell A. Davidson, President, Erik A. Kaeyer, Vice President and Walter P. Hauser, Principal are proud to recognize Matt and Teresa’s professional accomplishments and enthusiastically welcome them to their new leadership roles in the firm. 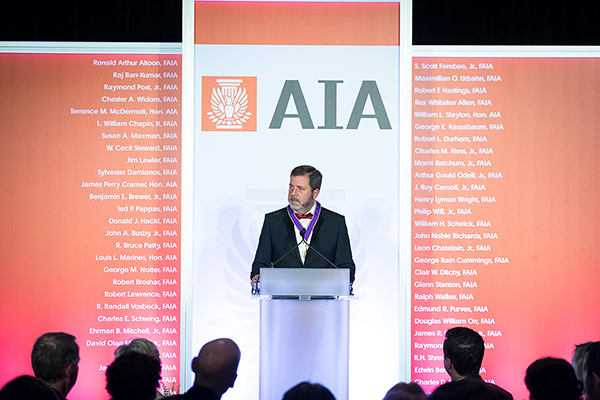 Matthew Gallerani, AIA of Stamford, CT joined KG+D in 2015 and became licensed in New York State in 2018. 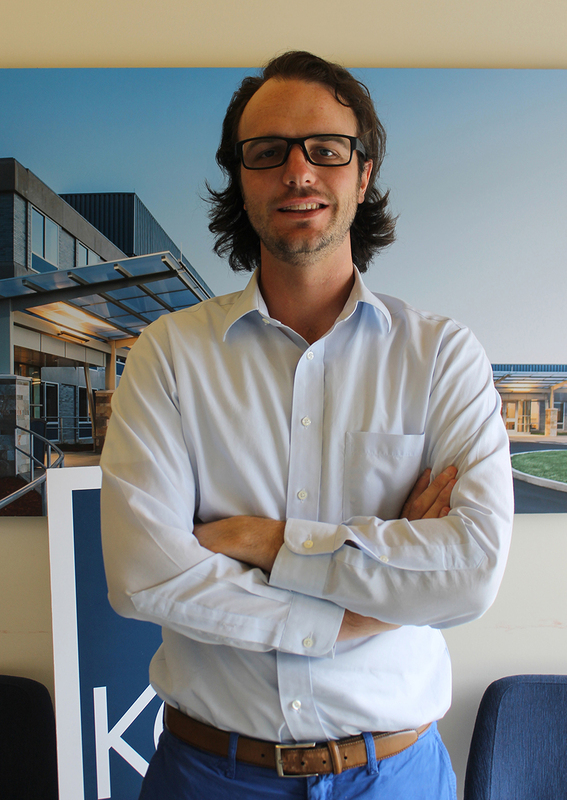 Matt earned his Masters in Architecture from Roger Williams University in 2013. 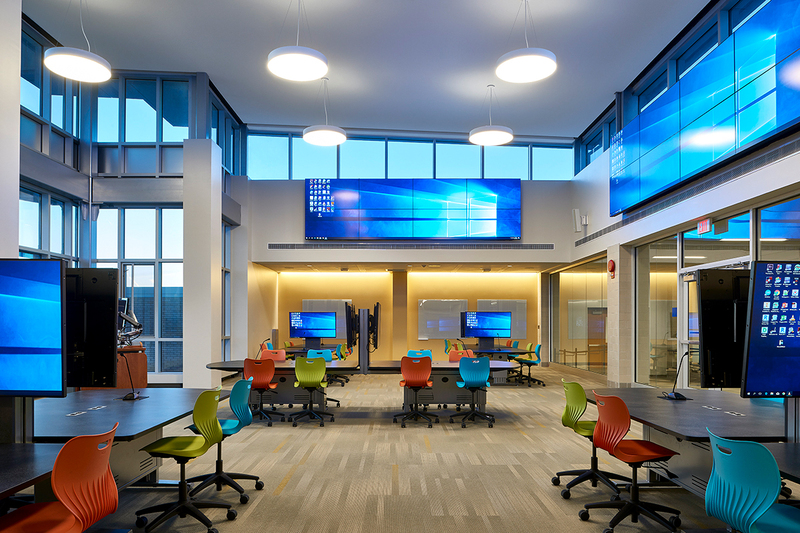 As part of the KG+D team, Matt has used his passion for connecting people and belief in sustainable spaces on projects for the Middletown Enlarged City School District, Eastchester Union Free School District and Yale University. 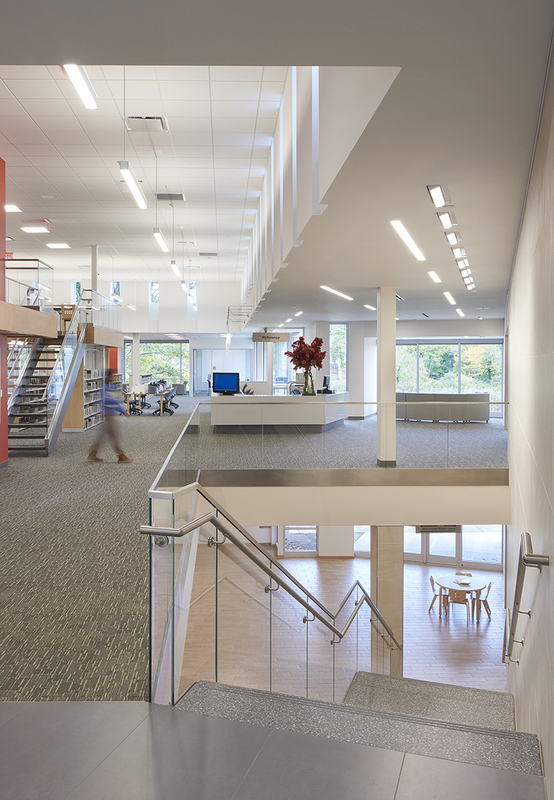 Teresa S. May, AIA of Rye, NY joined KG+D in 2016 as a project architect. 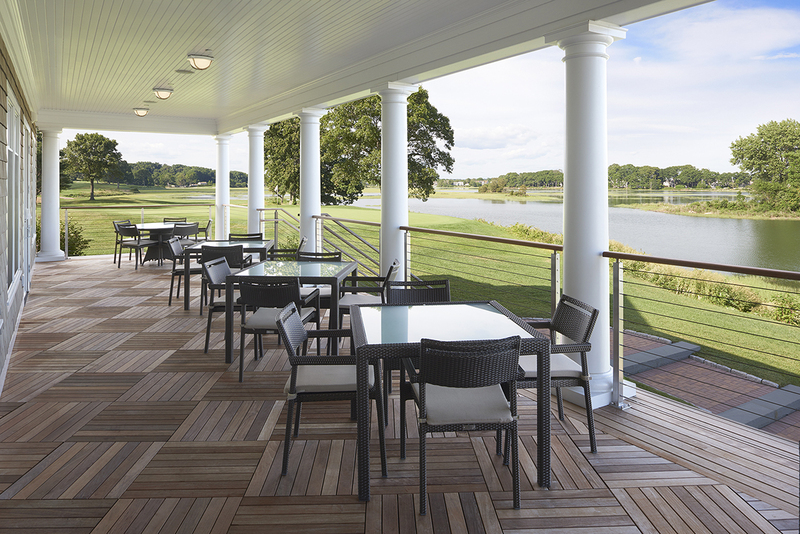 Her experience ranges from high end residential projects in Aspen, CO to mixed use residential development in Asbury Park, NJ and commercial property fit outs in New York City. 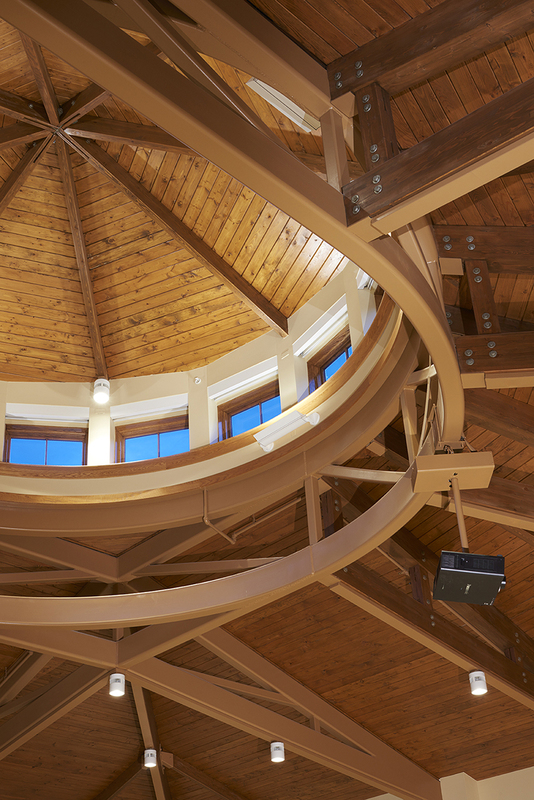 Teresa earned a Bachelor of Fine Arts in Architectural Design from Parson’s School of Design in New York City. 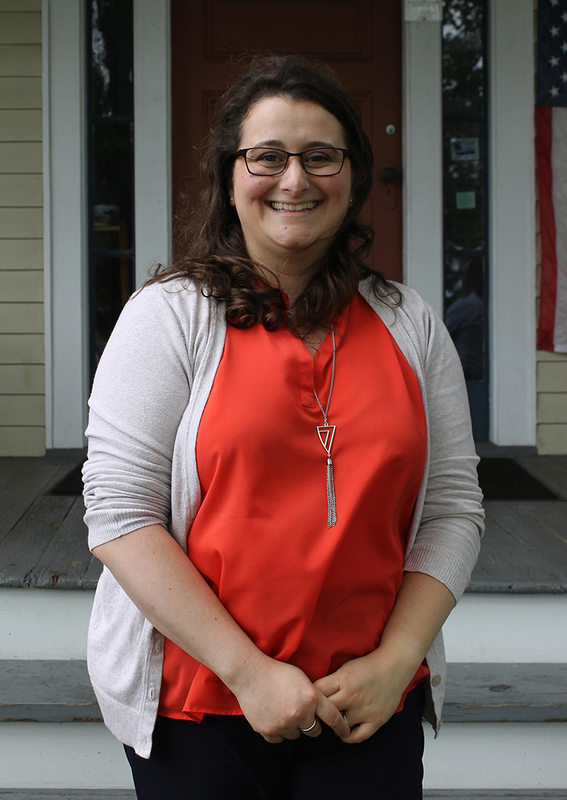 As part of the KG+D team, Teresa has managed projects for the Upper Westchester Muslim Society, Yonkers Public Library, and Yonkers Public Schools. 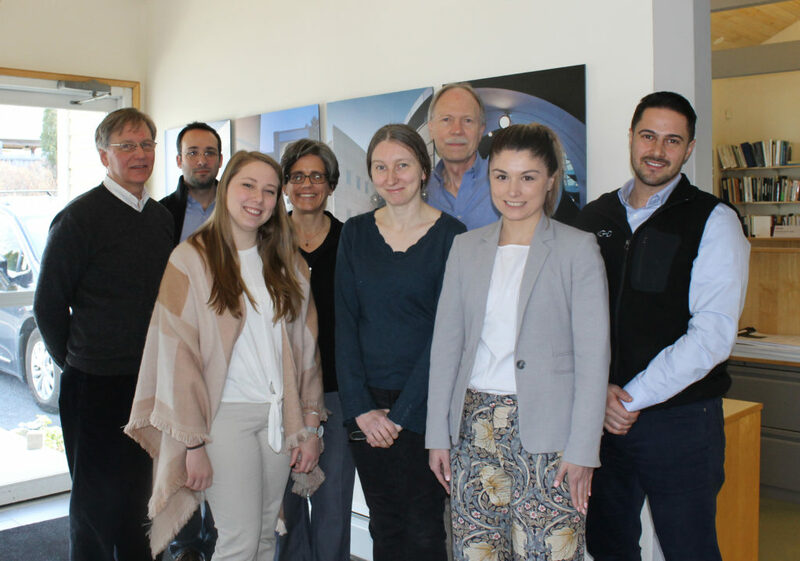 Matt and Teresa have contributed significantly to the firm’s growth and success and are an important part of its future. 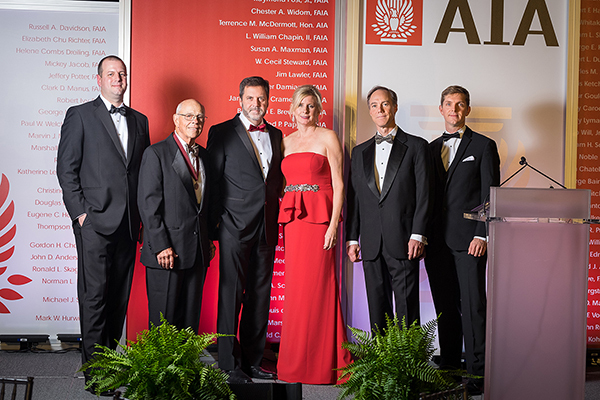 Their promotions reflect our firm’s commitment to building a strong and dynamic team, as well as our confidence in their continued ability to deliver the highest quality of service to our clients. We look forward to supporting their continued success at the firm in their new roles as Associates. This entry was posted in News on July 12, 2018 by Ashley Higgins. 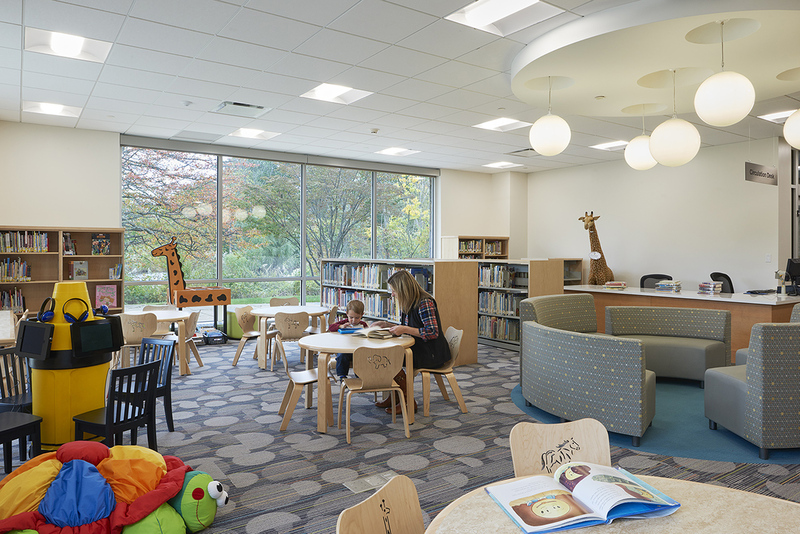 KG+D collaborated with Great Neck Public Library on a major renovation of their main branch, generally working within the existing footprint, to support current services and emerging technology. 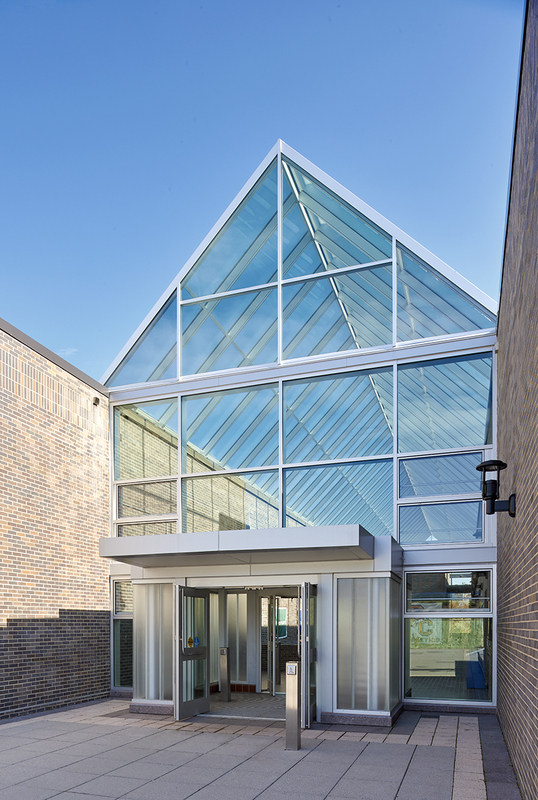 The project goals included: creating more meeting spaces and reading areas, developing an open and userfriendly environment, improving connections between levels of the building, increasing children’s spaces, consolidating staff and technical service areas and updating the building’s infrastructure to be more energy efficient. This entry was posted in Projects, sidebar and tagged community, municipal on February 7, 2018 by Ashley Higgins. 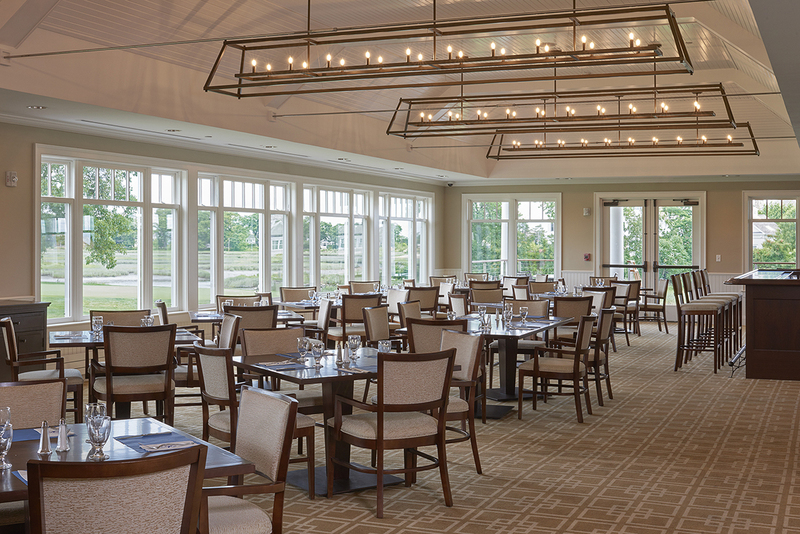 KG+D collaborated with the Shorehaven Golf Club on a two-phased transformation of their campus facilities, encompassing a complete renovation of the main clubhouse and surrounding site, the pool house and the tennis pavilion. 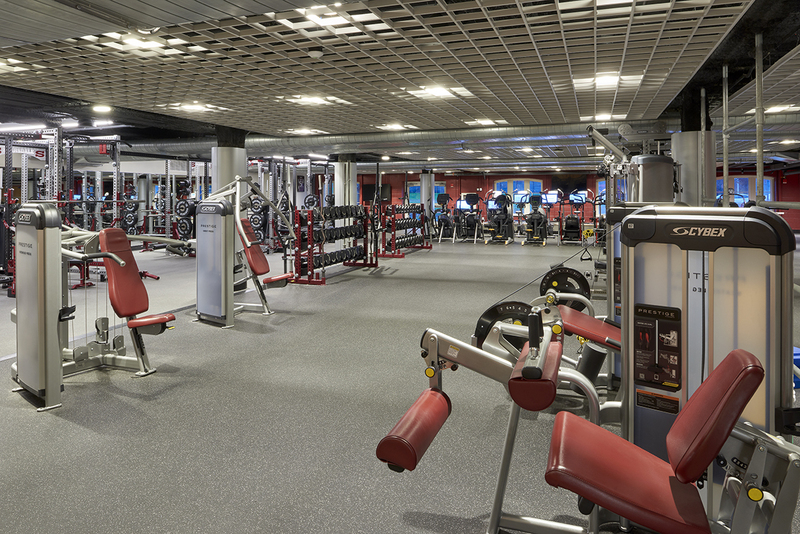 This entry was posted in Projects and tagged commercial, recreational on February 6, 2018 by Ashley Higgins. 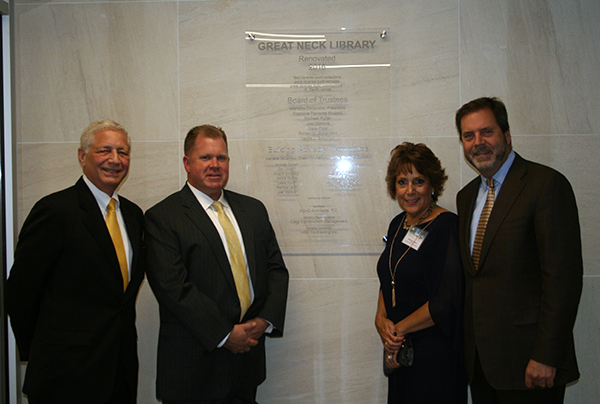 The Great Neck Public Library’s Main Branch officially opened to the public on October 30th after a major renovation of their main branch, generally working within the existing footprint, to support current services and emerging technology. 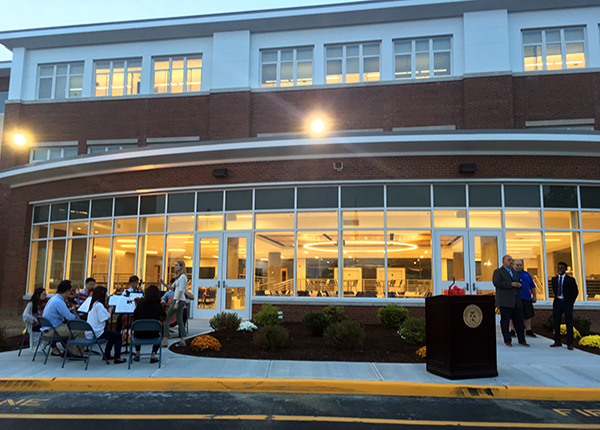 The Great Neck Library Board president, Marietta DiCamillo, said about 600 people, including elected officials, employees and members of the public, attended Sunday’s ribbon-cutting ceremony and open house. 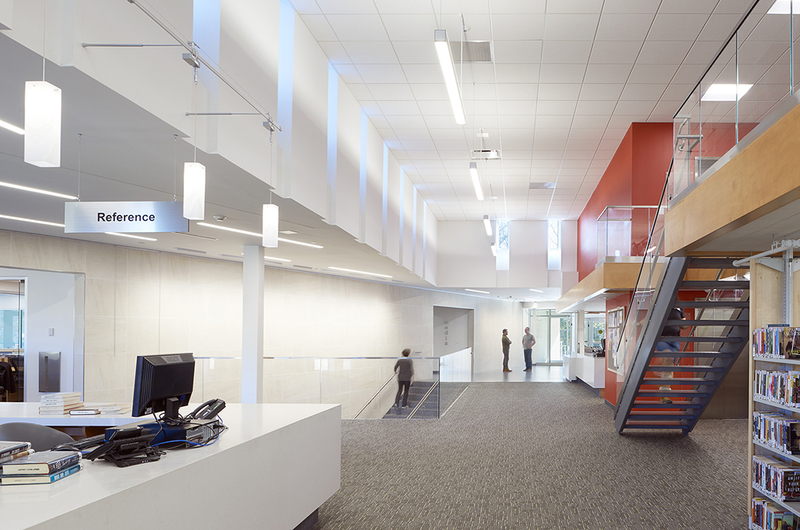 The project goals included: creating more meeting spaces and reading areas, developing an open and user-friendly environment, improving connections between levels of the building, increasing children’s spaces, consolidating staff and technical service areas and updating the building’s infrastructure to be more energy efficient. This entry was posted in News on December 5, 2016 by Ashley Higgins. 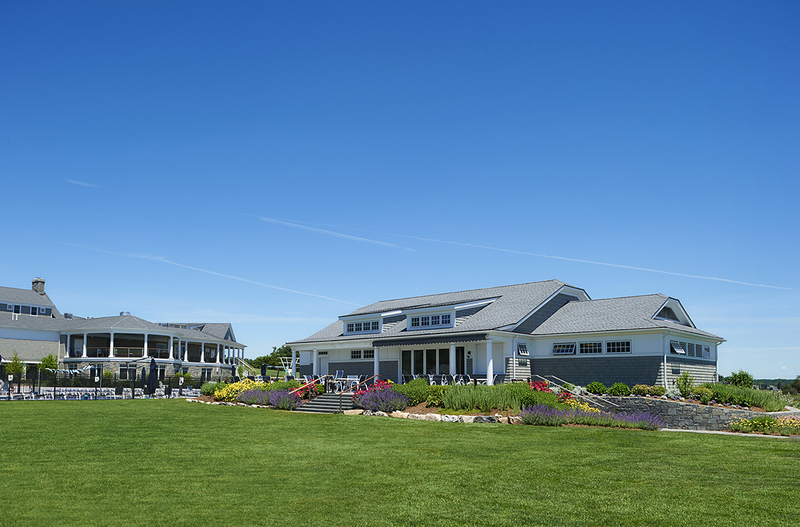 Erik Kaeyer, KG+D Architects’ Vice President describes Shorehaven Golf Club’s newly renovated clubhouse. 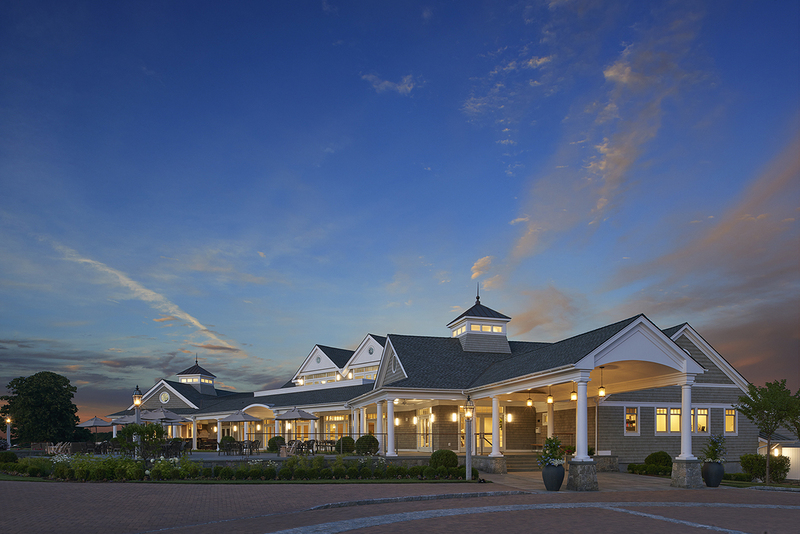 Shorehaven attributes the rebuild to a resurgence in membership and related bookings. 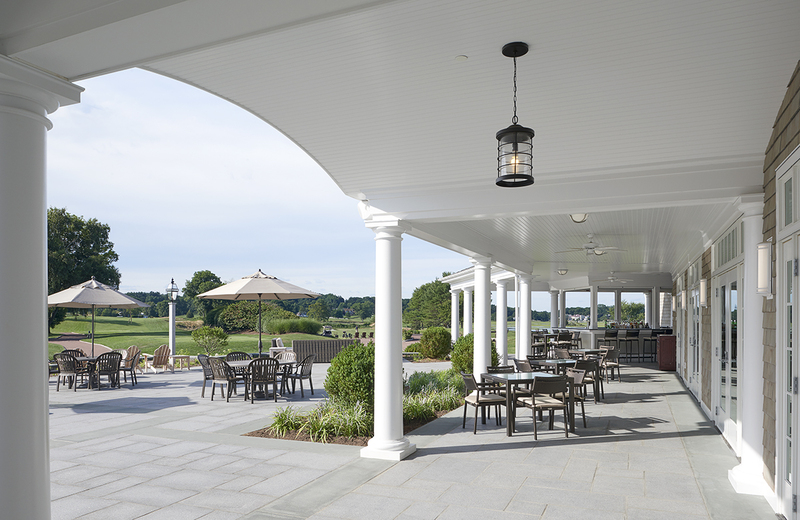 In a bid to refresh its appeal — particularly to younger member prospects and organizations considering event space — Shorehaven heads into the golf season’s fallow months with a rebuilt facility, the overhaul led by Mount Kisco, N.Y.-based KG+D Architects and the New Canaan-based landscape architect Wesley Stout Associates. 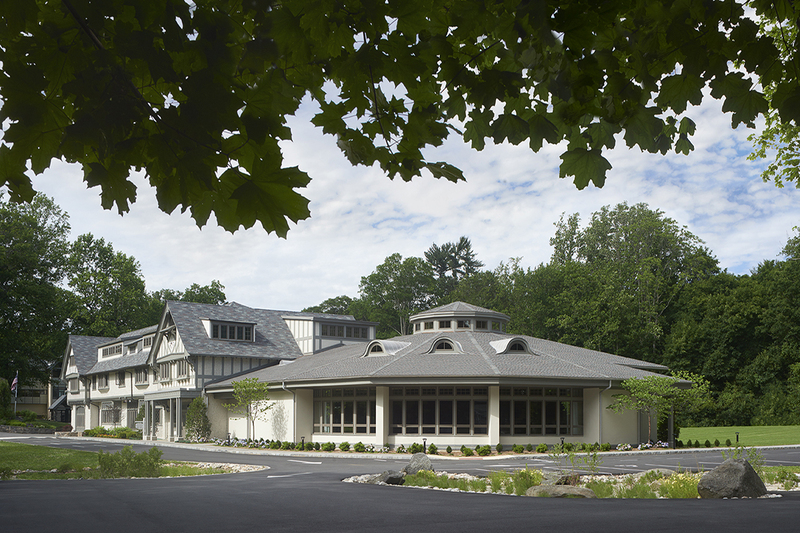 In addition to the main clubhouse and grounds, the renovations encompassed an enlarged pool pavilion with construction still underway on a new summer youth camp structure. 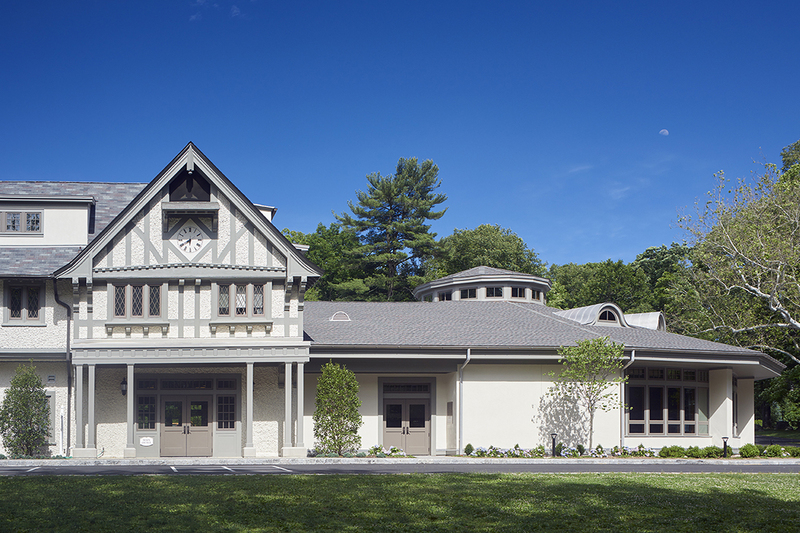 The new facilities were designed in the New England Shingle Style of architecture, according to Erik Kaeyer, a Wilton resident who led the project as design principal and vice president with KG+D. 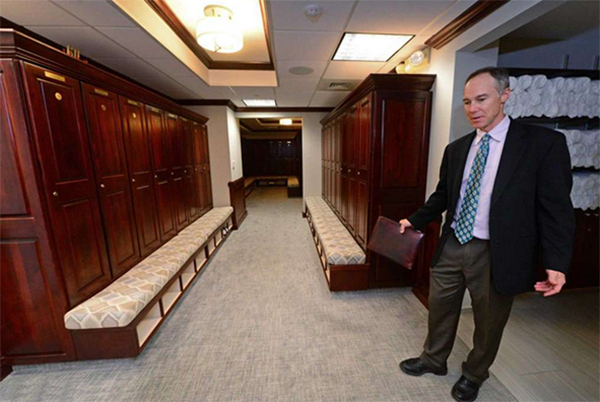 Dwyer said the redesign is having its intended effect, with nine weddings and six golf outings booked for next year and inquiries coming in daily. 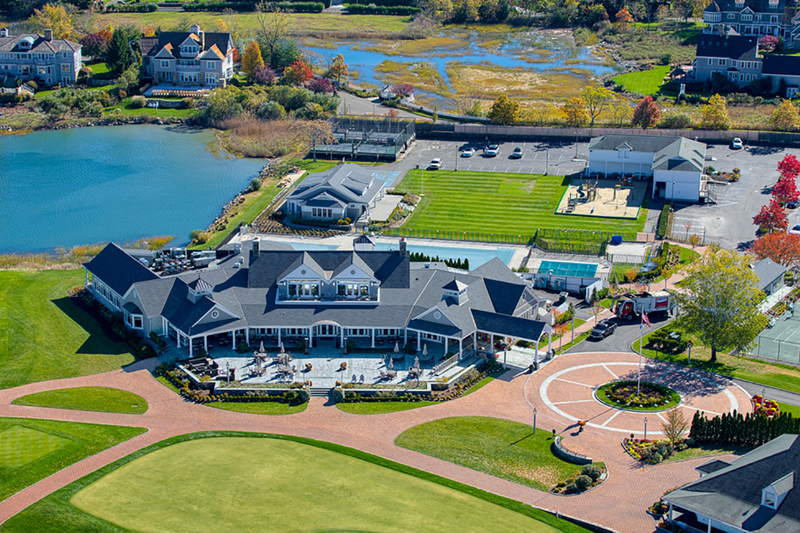 For his part, Kaeyer says he will miss his visits to the club to work through the myriad construction challenges of the project, but maintains the members and by extension the city are a better place with a rebuilt Shorehaven along Long Island Sound. 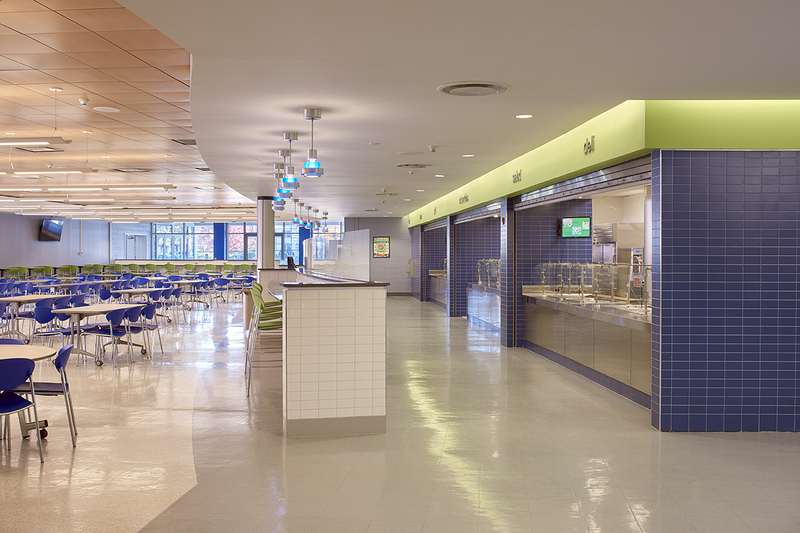 “You look at this club five years ago, the outdoor seating and all that, and you look at it now and it’s an easy sell,” Kaeyer said. This entry was posted in homeslider, News, sidebar on December 5, 2016 by Ashley Higgins. 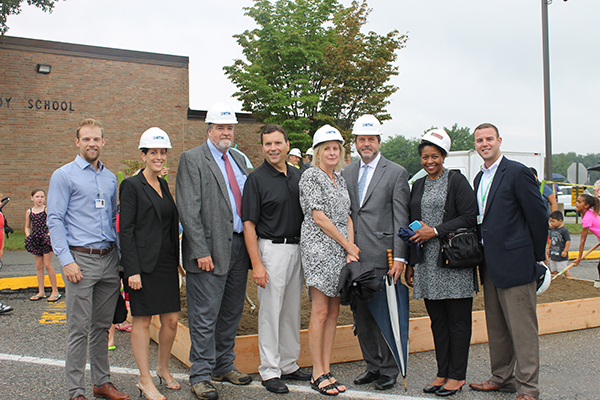 Brewster Central School District held a groundbreaking ceremony on September 1, 2016 marking the beginning of renovation and addition projects that are to be completed at JFK Elementary School, CV Star Intermediate School and Brewster High School. 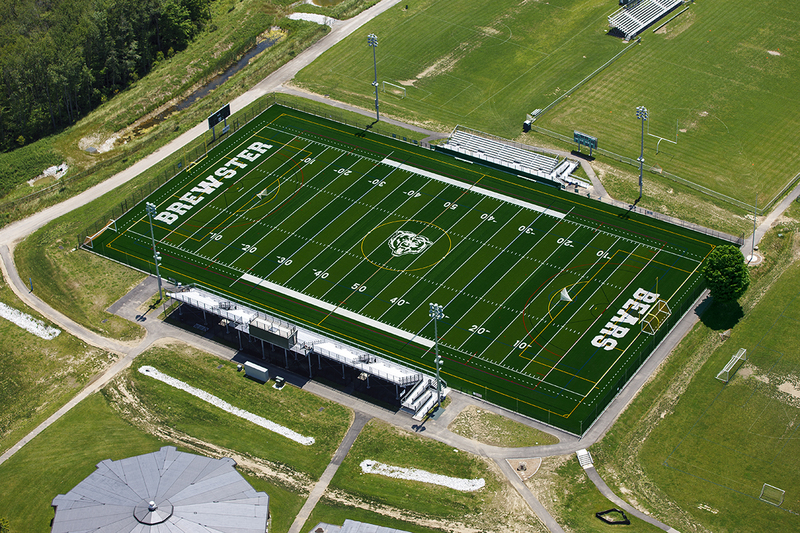 The projects are a part of a $40 million dollar bond referendum that was passed in December 2014 of which the overall program is currently under budget and ahead of schedule. 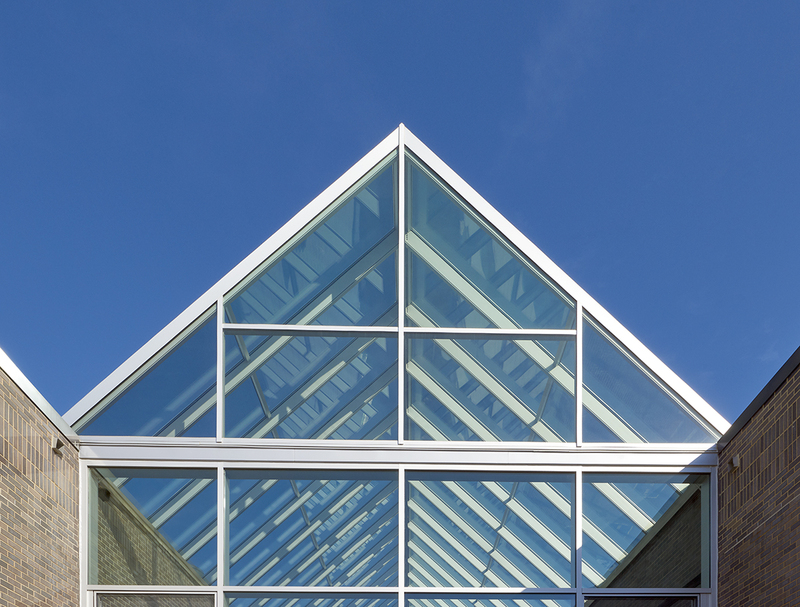 Following a series of capital improvement projects associated with the referendum—including roof repairs, asbestos removal and security upgrades—the larger projects are set to begin immediately. 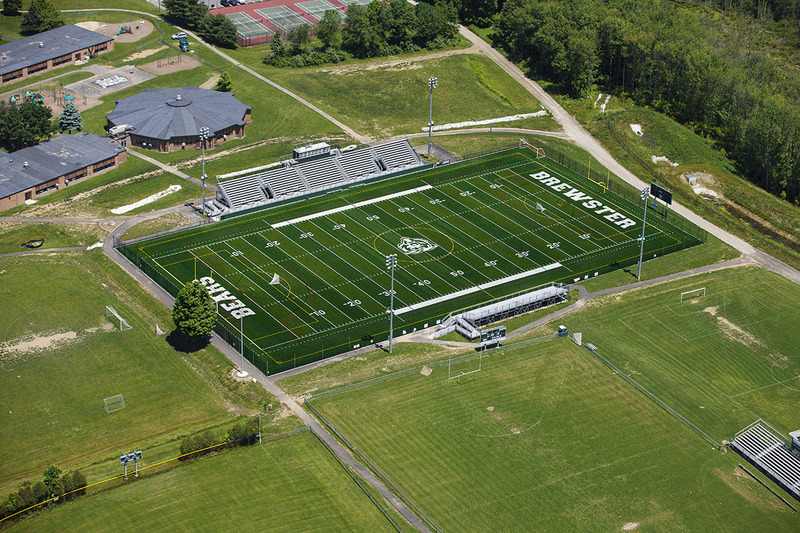 The projects being completed at Brewster High School include extensive locker room and weight room renovations, a reorganized and streamlined cafeteria servery and a flexible and innovative learning commons. 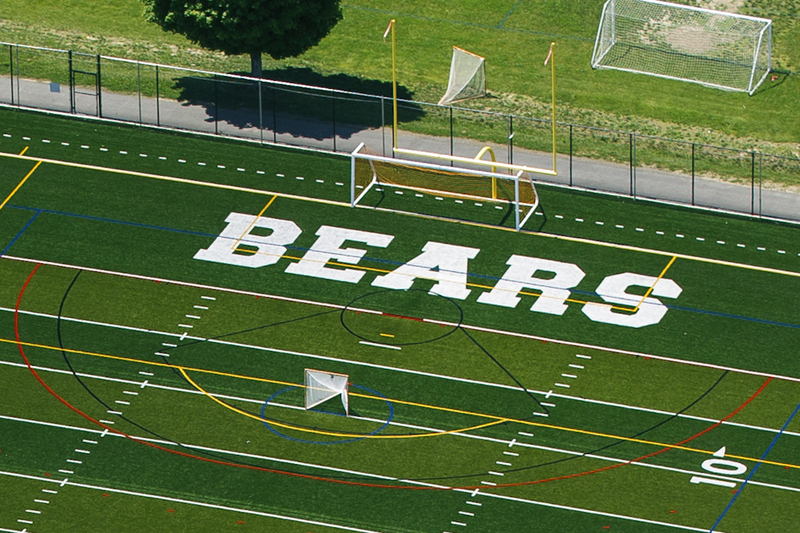 CV Star Intermediate School will gain a new two-story four-classroom addition. 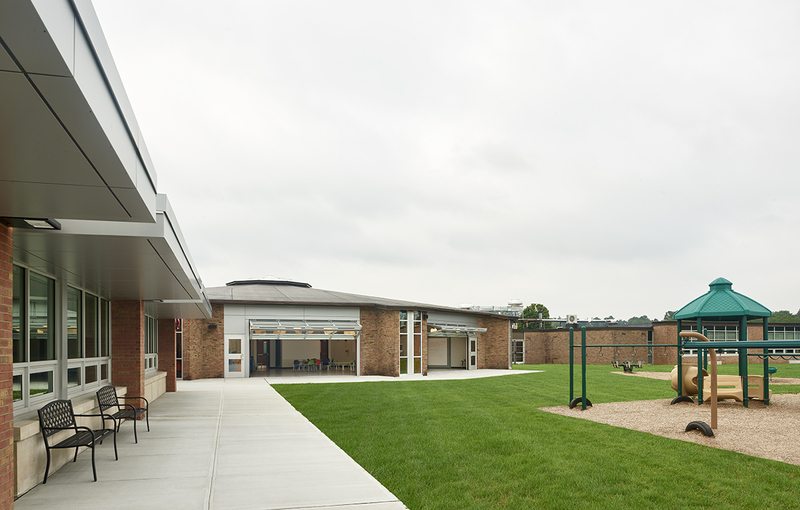 JFK Elementary School will undergo multiple additions including a six classroom, library and cafeteria addition. 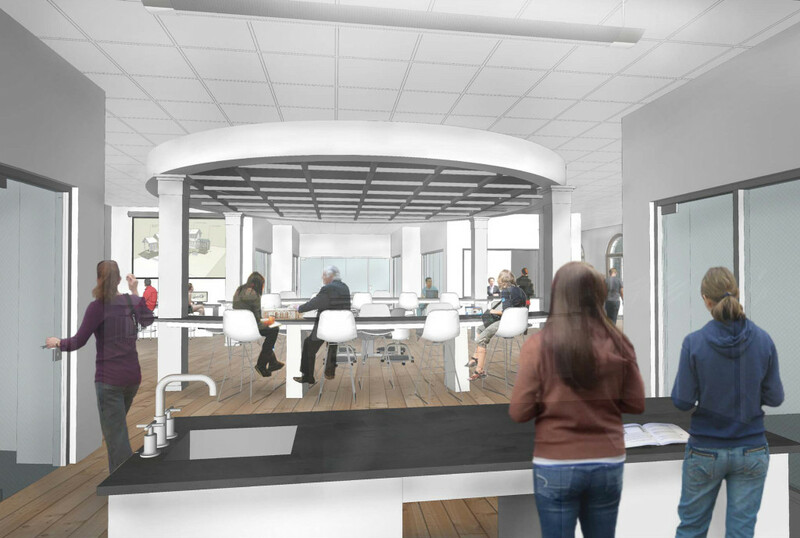 Furthermore, the elementary school’s existing roundhouse building will feature a new terrace off the discovery and innovation center with bi-fold doors that open to an interior courtyard providing for indoor and outdoor learning spaces. 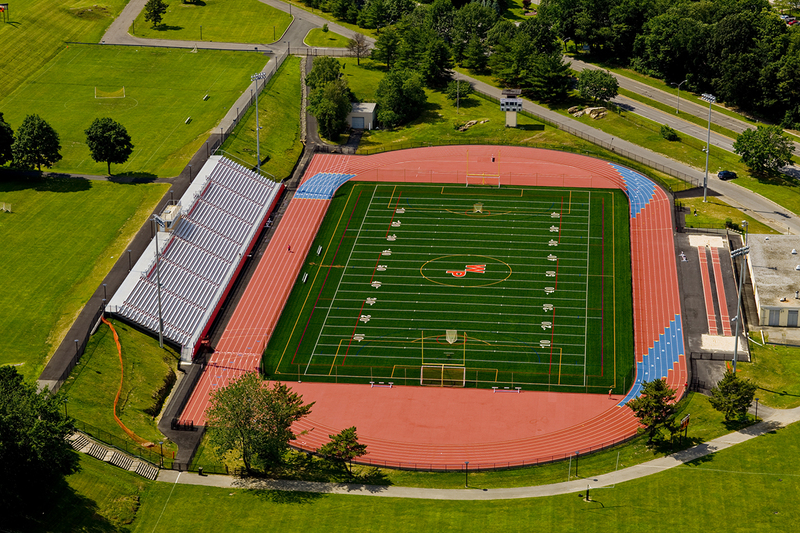 The various projects will be implemented in phases throughout the 2016-2017 school year and the new additions will be ready for use in September 2017. This entry was posted in News on September 8, 2016 by Ashley Higgins. The KG+D team is proud to be among the 14 Westchester organizations to be recognized as part of 914INC 4th Annual Small Business Awards. 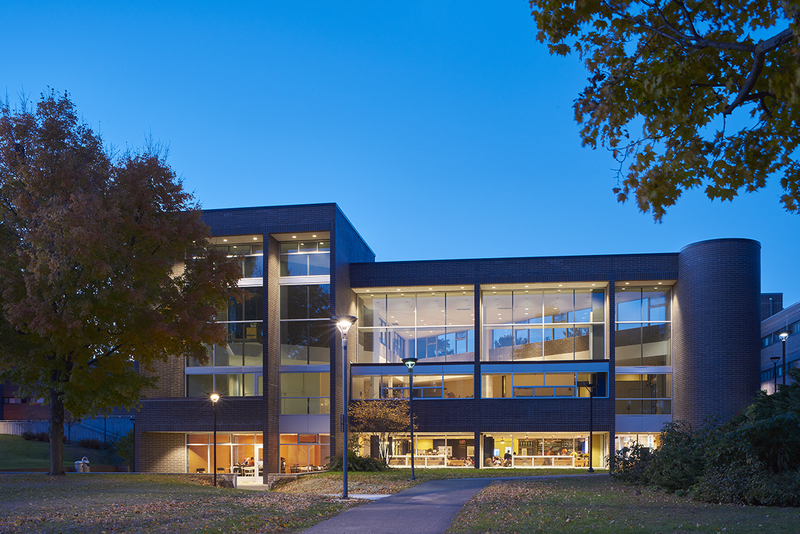 KG+D was recognized in the General Excellence category. 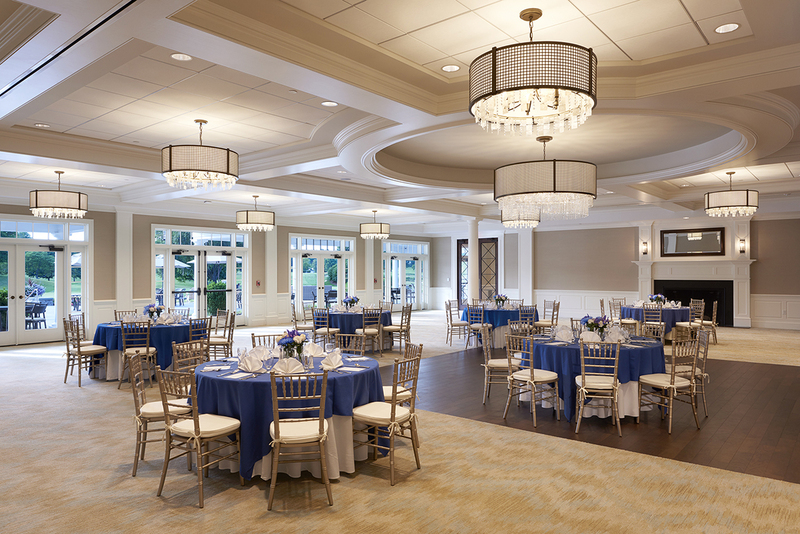 Our 32-person team is proud to be a part of the thriving small-business community in Westchester County and prouder to collaborate with numerous county educational facilities, municipalities, religious institutions and businesses organizations. This entry was posted in homeslider, News, sidebar on August 10, 2016 by Ashley Higgins. Press Conference held on May 24th released the findings of KG+D’s capacity study. 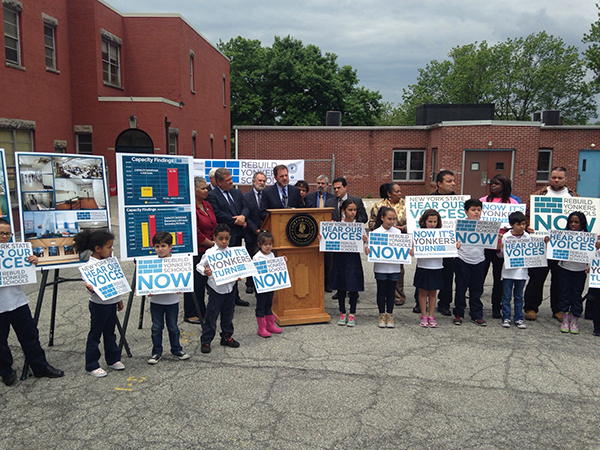 On Tuesday May 24, 2016 Mayor Mike Spano and Superintendent of Schools, Dr. Edwin M. Quezada held a press conference announcing the findings of a building capacity study completed by KG+D Architects, PC. 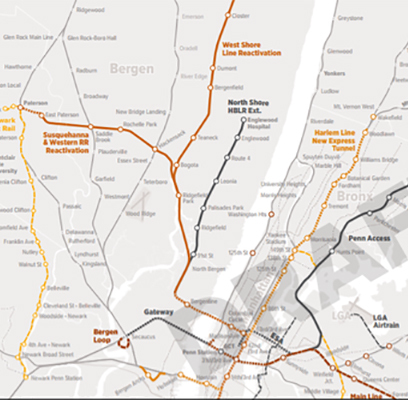 The study revealed Yonkers’ 39 schools are overcapacity by 4,428 seats for its enrollment of 27,000 students, pre-kindergarten through grade 12. 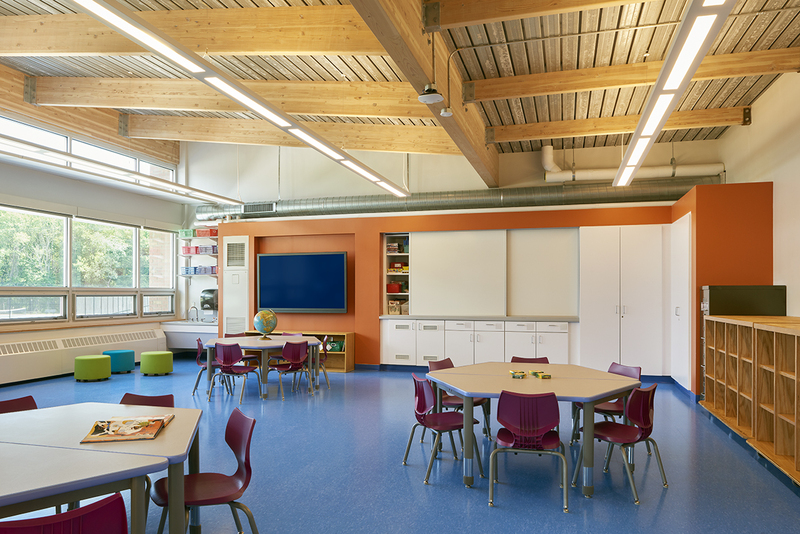 Due to the lack of adequate space in many schools, class sizes, specifically in elementary schools and special education services are below New York State Office of Facilities Planning standards. This entry was posted in News on June 3, 2016 by Ashley Higgins. 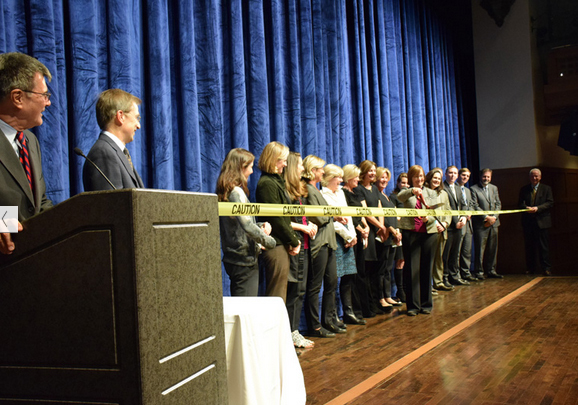 Ribbon cutting for Bronxville Schools’ newly renovated auditorium. 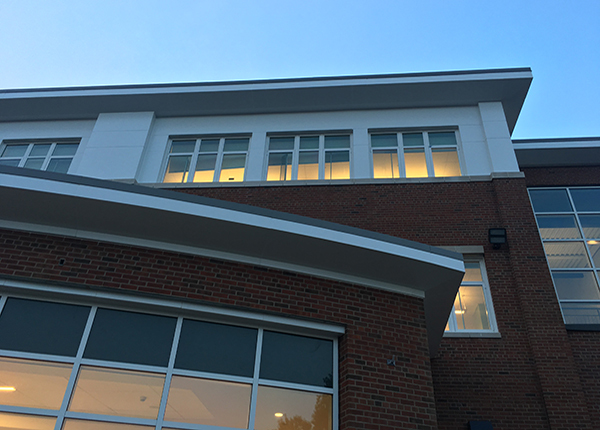 The Bronxville School celebrated the grand opening of its newly renovated auditorium on Wednesday, December 16, 2015. 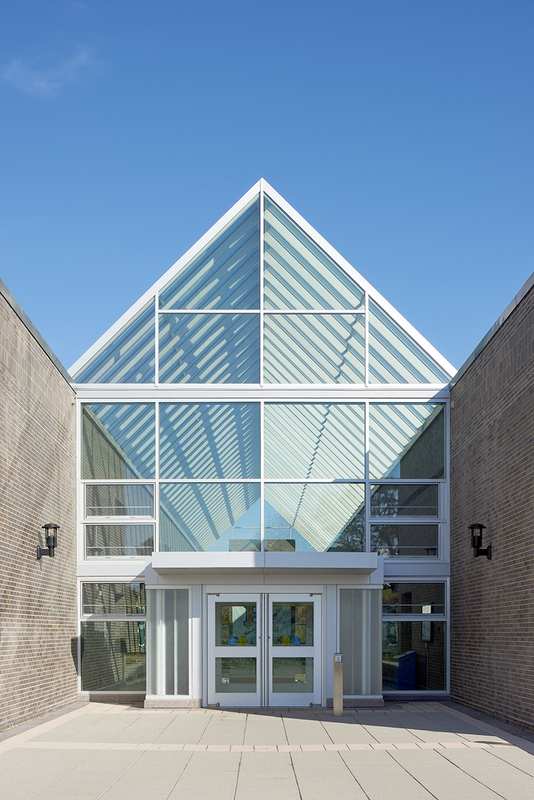 The celebration featured performances by members of the Bronxville High School Chorus, Orchestra and Band, as well as a special recognition of the PTA, Bronxville School Foundation and private donors who were instrumental in the success of the renovation project. 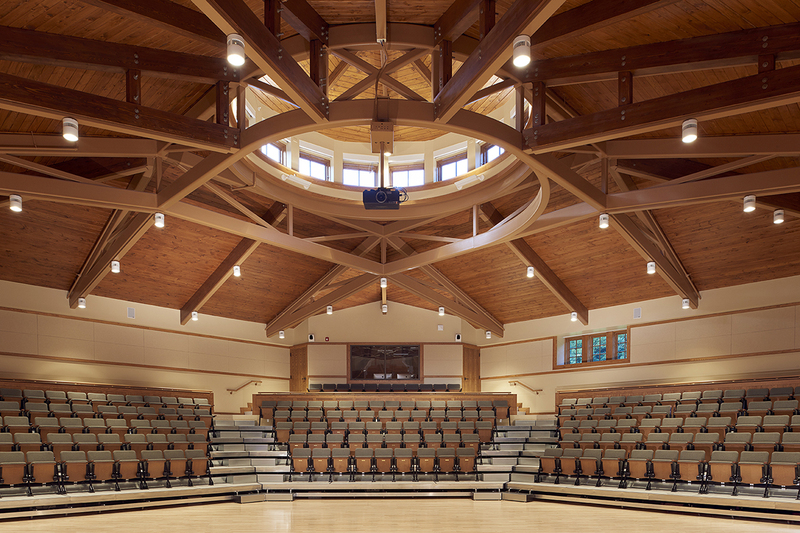 Originally built in 1922, the Bronxville School auditorium was urgently in need of reconfiguration and restoration. 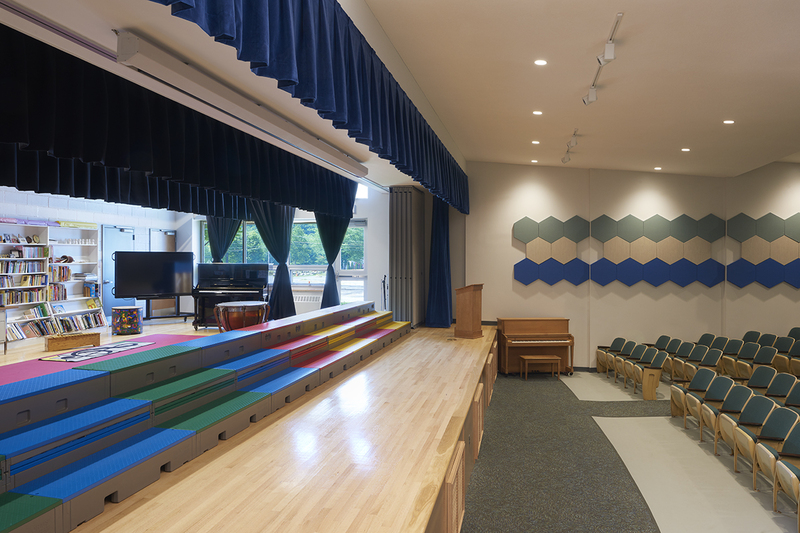 In spite of ongoing work to maintain the facility, by 2012 the auditorium was in a state of disrepair with missing seats, poor lighting, improper sightlines, and non-functional balcony that was no longer in use. 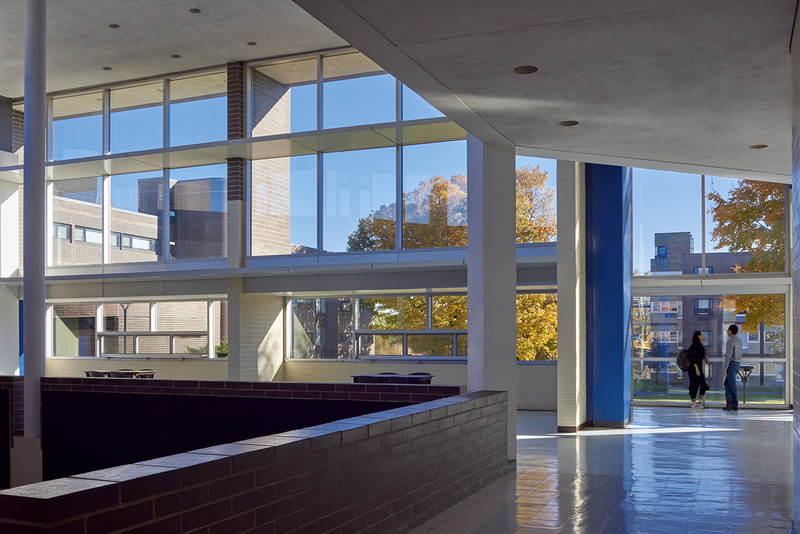 Additionally, a 1960s renovation created a false proscenium over the original and closed in the tall windows on both sides of the auditorium. 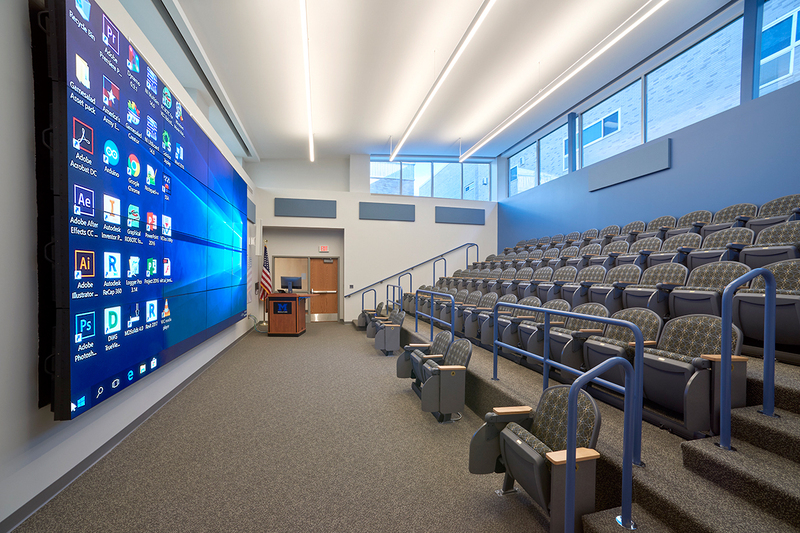 As a result, the renovated proscenium swallowed performance sound and the lack of natural light reduced the auditorium’s flexibility. 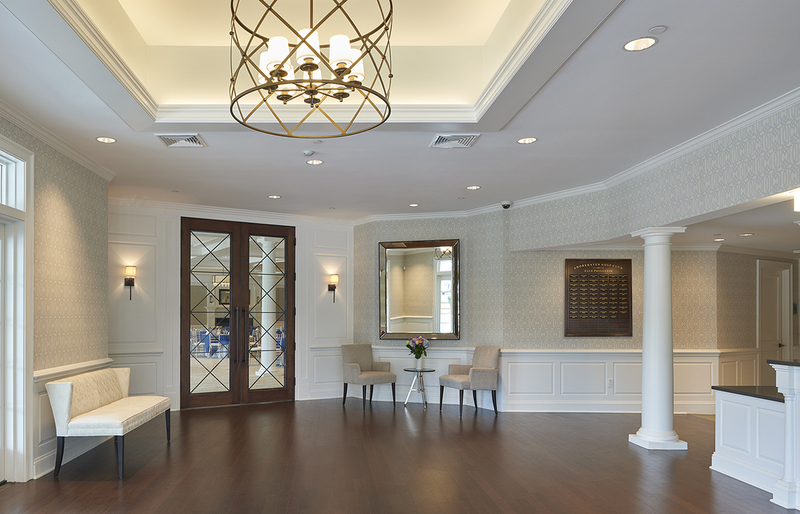 KG+D partnered with the Bronxville USFD to collaboratively restore the beauty and functionality of the original auditorium while incorporating 21st Century elements to create a multi-use space for the Bronxville community. 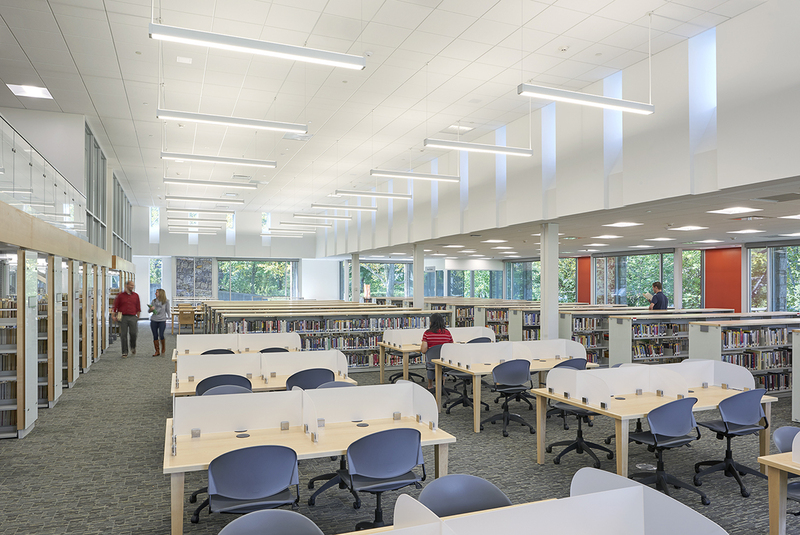 The project goals included maximizing seating capacity and performance space, improving sightlines and the overall acoustics of the space and creating a separate space for public access. 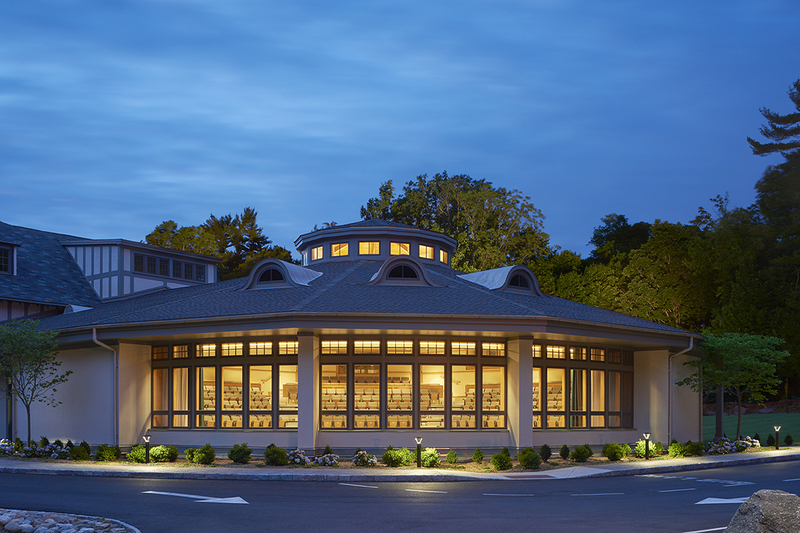 The Bronxville Auditorium is a flexible, accessible and technologically advanced theater space that functions as the center of the Bronxville School Community and is an asset to the Village of Bronxville. 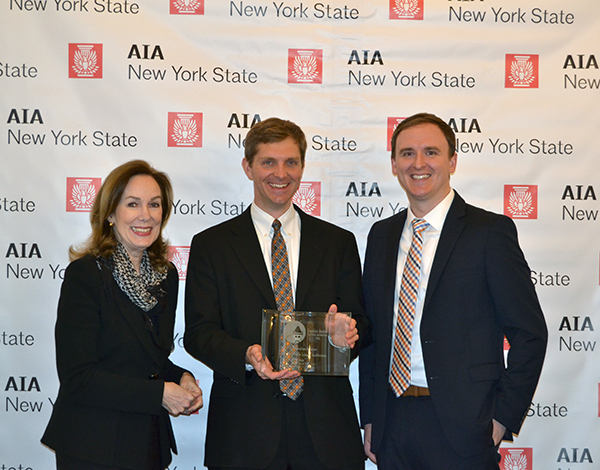 AIANYS President Margaret O’Donoghue Castillo, FAIA with KG+D’s Bronxville Schools Auditorium project team members Erik J. Wilson AIA, Associate Principal and Brian O. Mangan AIA, Associate. This entry was posted in News on May 27, 2016 by Ashley Higgins. 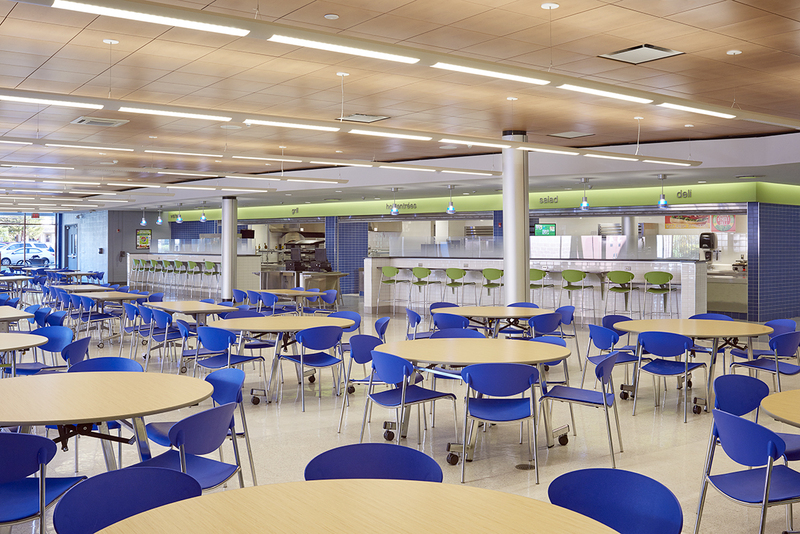 While safety and security have always been an important part of school planning and design, the recent increase in violent school tragedies have renewed the sense of urgency and put safety at the forefront of conversations about school buildings. 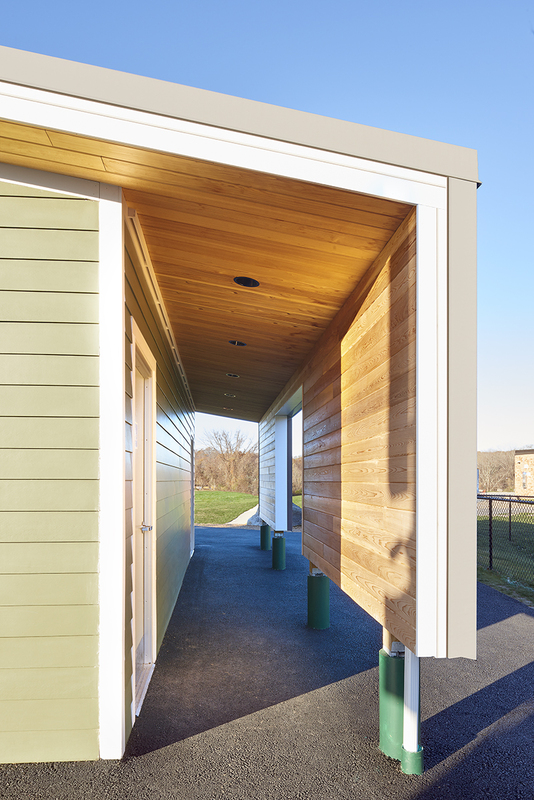 KG+D has worked with many educational facilities throughout the Lower Hudson Valley to address this critical issue and fortify schools without turning them into fortresses. 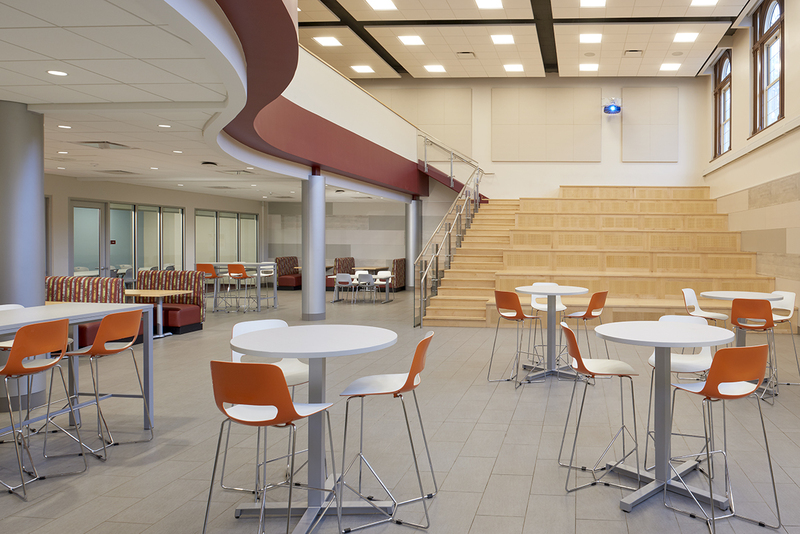 As school architects, our goal is to incorporate secure design solutions without detracting from the impression of the learning environment. The goal is to increase the time it takes to get into and out of buildings; the overall strategy to create delay and in turn create more time for administration to react and for first responders to arrive. 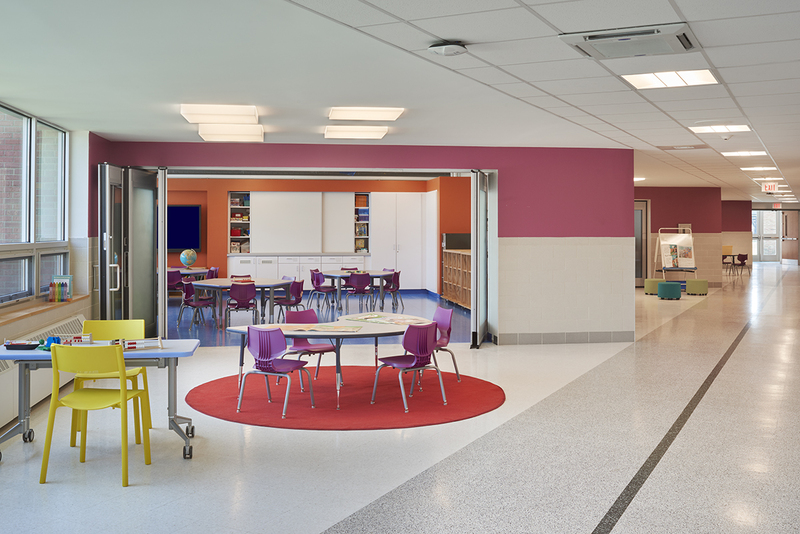 While schools cannot be designed completely around aggressive intruders, they can incorporate secure design solutions that increase student and teacher safety. 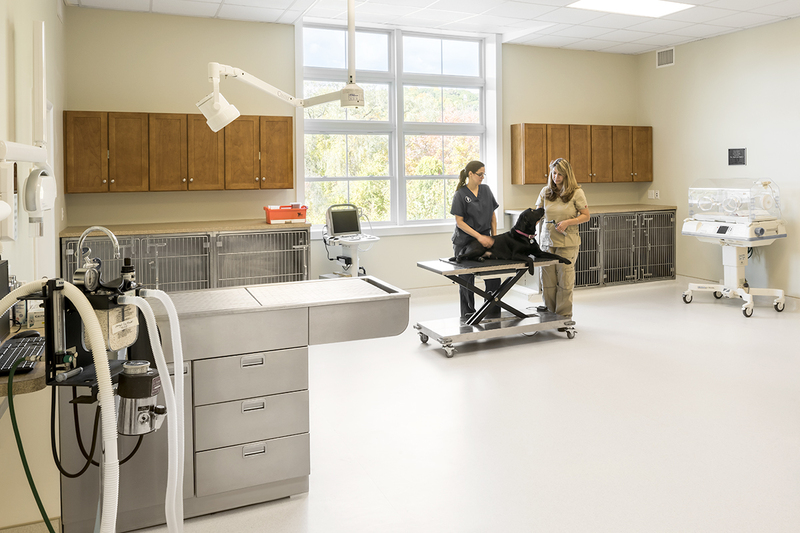 Built using green construction initiatives, the Canine Development Center’s 30-acre new and renovated campus includes a puppy training pavilion, new male and female kennels, open living areas, outdoor areas for off-leash exercise and a new veterinary hospital with state of the art equipment. 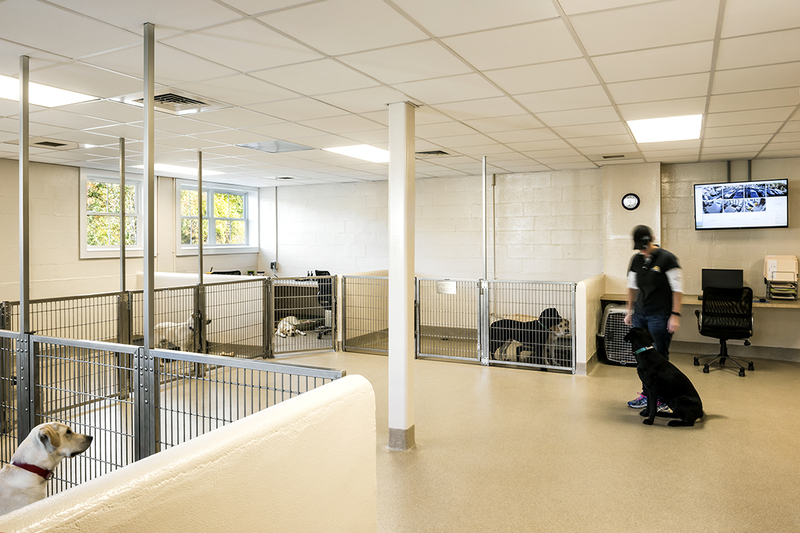 The Center is utilized for breeding, birthing, socializing and screening dogs. 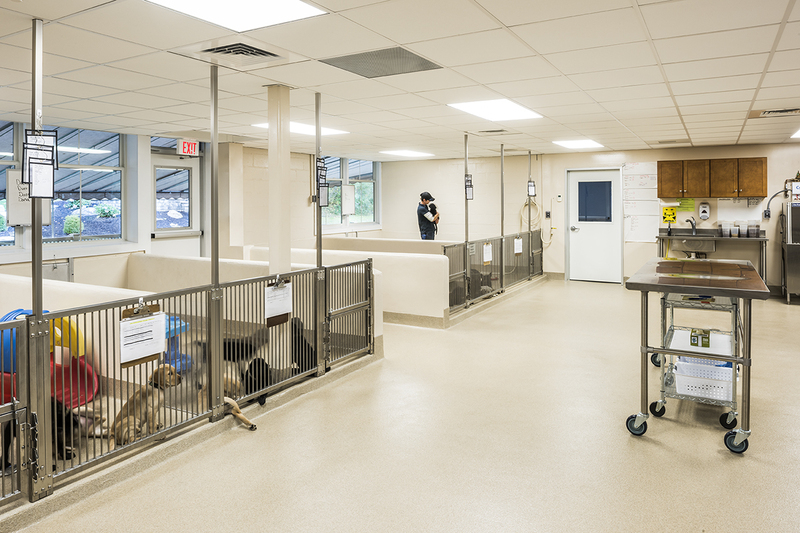 The expansion nearly doubled the size of the original facilities, providing more teaching space for staff and volunteers to work together and have additional opportunities for orientation and training sessions. This entry was posted in Projects and tagged community on November 23, 2015 by Ashley Higgins. 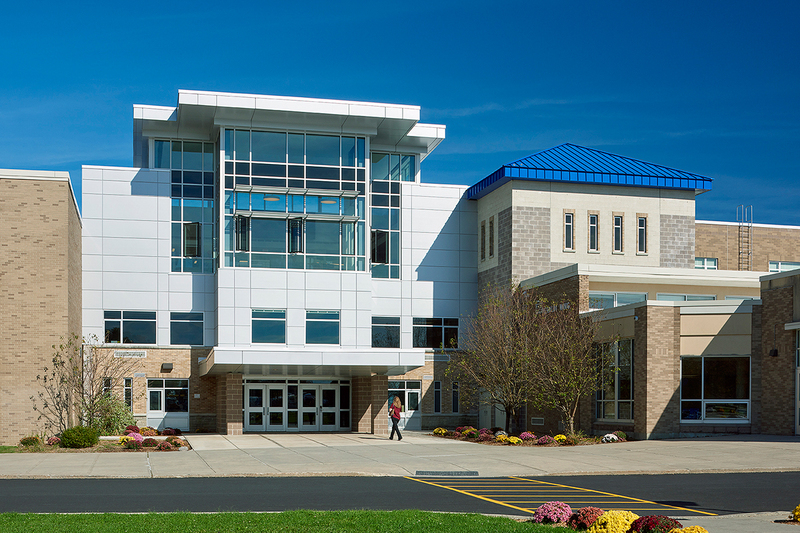 KG+D was featured in an article by the Westchester Business Journal discussing some of our current collaborations with local school districts that are leading the way in educational facility design. This entry was posted in homeslider, News, sidebar on November 18, 2015 by Ashley Higgins.